Home / Articles / Is This What We Really Want? My name is TeKa, an Ethiopian born and raised, mainly, in Asmara, Eritrea. I am not a writer (you can tell), I am just another concerned Ethiopian who is looking for some answers to what is happening in Ethiopia. To give you some perspective on why I sound so angry and frustrated with the current events, I will narrate briefly my life story. I understand that some may want to crucify me for saying certain things that they do not want to hear, and some, for sure, will agree with me. I am not here for a popularity contest. Anyone may say whatever they want to say if they do not agree with me, I am fine with it. Today I am here to tell my story because I am sad, lost, confused and frustrated. I know my story is similar to many of you and, perhaps, you and I could come up with some way to bring our people that so desperately are seeking for some sane leadership and some real unity together. My story maybe peculiar in some ways, but I know there are many similar stories out there that would tell the effects of any war. I acknowledge that the war that I was basically part of, brought death to many Ethiopians including (then) Eritreans as well. This war affected everybody. The farmers in Ethiopia had to forfeit their simple but quiet lives and were forced to fight a war that it should not have started in the first place. The farmers in Eritrea were also deprived of their normal lives by the constant war and bombardment. Their young children were no longer allowed to go to school and were forced/volunteered to fight a fight maybe of none of their choices. I was born in Asmara from two wonderful Ethiopians. My father descends from Wollo (Amhara), while my mother is from Adwa (Tigrai). I always felt proud and unique for being just that: an Ethiopian. The fact that I was born from both an Amhara and a Tigrean gave me the chance to fluently speak both languages. Growing up in the military camps in Asmara, 12th Brigade, Forto, and then Kagnew Station, was interesting and nurturing to say the least. Most of the people who lived in the military camps in Asmara were the Army and their families. Most of the soldiers were married to women from Tigray and, to some extent, from Eritrea. There were very few wives that descended from the central highlands of Ethiopia or beyond, obviously by convenience. There was such an amazing camaraderie that I have never seen anywhere else. People truly liked and helped each other. If somehow children misbehaved outside his home, it was up to any parent who happened to be at that place and time to discipline them. Even though the Army was among the least paying jobs, to some extent we never had to worry about anything. Life in the military camps was simple and exciting that none of us would change for anything else. We had ample opportunity to play all kind of sports. And, as a result of that, we were good at many sports including football (soccer). Military camps have in fact produced some of the finest national soccer players such as Gizachew Berhe (my Abro Adeg), Samuel Ejegu and many that I forgot their names. During these times, no one cared who came from Amhara or Tigray or Oromia or Somalia, etc. Regardless everybody loved and respected each other genuinely. We never gave a damn about who is from where. All we knew was that we were all Ethiopians. Back in the late 1960 EC (1977-1978), situations in Eritrea and particularly in Asmara went from bad to worse. It was the time when EPLF gained lots of ground and was threatening to take over the whole “province”. Just about the same time, in 1968 EC (1975) to be exact, my beloved father was killed in a battle near Keren, just a few kilometers South of Asmara. It was Meskerem 6, 1968 EC (September 16, 1975). I was just finishing my primary school. That period was very hard, especially for my mother. My father had been killed at one of the very first skirmishes between the Ethiopian Government and the “Rebels”. My father was supposed to lead a squadron of armored vehicles and a few soldiers who were tasked to accompany a military convoy that was heading to the city of Keren. My father and his squad got ambushed few kilometers north of Keren by the Rebels. The fight lasted almost 24 hours which at the end of the battle, the rebels had to run away, but not without causing heavy causalities. 11 men died including my father on that day, my father was the last to be killed. He was hit by a single bullet right on his head at the end of the battle. Now when I think about it, I believe that he was hit by a sniper because the fight had stopped when he was hit. I vividly remember the day that my father had to leave for this particular mission. He had to wake up early morning at around 4 am. I remember the soft chat between my mother and my father while my mother was preparing him breakfast and making coffee for him. Once he was done with his breakfast and had a cup of coffee, he bid my mother goodbye. I was awake and listening while he was leaving and closed the door behind him. That would be the last time I heard his voice and felt the presence of my father alive. Hours later, he would be killed. I was confused and unsure of the future. Since I was the eldest of the remaining siblings in the house (my eldest sister had just married), I felt the responsibility to take care of my mother, my brother, and sisters. It was one of the darkest moments of my whole life. I did not know what was coming next. My mother almost lost it and could not bear the fact that she became a widow at such a young age of 38. A couple years later, the war in Eritrea got worse, food became scarce, fuel was nonexistent, and water was rationed. Life outside the military camps was miserable. And, as a result, all schools were closed. It was at this critical time when my friends (Dereje Kebede, Leulseged Fantu, Asmelash Wasihu, Daniel Reda etc) and I joined the youth league to help out our troops (Ethiopian) in any way that we could. My mother also started working at the Kagnew Hospital, for free, just like many other military wives. I was around 13 or 14 years old when for the first time I saw dead or mutilated human bodies. The 2nd Division that was part of the Ethiopian Army stationed in Eritrea seemed to be overwhelmed by the massive number of injuries and causalities that it received during these days and was not able to provide the basic medical attention to its wounded soldiers. To help out with this crisis, as young patriots and as reliable and trustworthy children (boys and girls) of the military, my friends and I volunteered to be trained as 1st responders (1st aid providers) and started working at Kagnew and other Military hospitals all around the city. Like I said above, at the end of 1960s EC and beginning of 1970s EC ( 1977-1978), the situation became very scary. The then Ethiopian government deployed a massive number of militias to try to stop the advance of the rebels. The battle was fierce. The militias had joined the seasoned regular Ethiopian soldiers (very few left by then) and were confronted with determined and well-trained rebel fighters. Carnage was the word of the day in every single battle. The number of wounded soldiers coming to the hospital where I was assigned at (Kagnew Station) was overwhelming. I had never seen human blood flowing with such ferocity ever before. There was only one doctor (Dr. Gaga) for all of this and maybe a couple of nurses. There was also a handful of what they used to be called “Health Officers”. Besides that, it was just us, children of the youth league (Ye Wetatoch Mahber). I probably was the youngest of them. We were there to help out selflessly. We never asked for any pay or any compensation. All we wanted was to help out with the critical medical staff shortage that the Army was facing during these tough times. We sometimes did not have any sleep for days. Remember, I was maybe 14 years old. Most of my friends were around that age. The oldest ones could not have been more than 18 or 19 years old. We took our patriotic duty seriously and, hopefully, we delivered. We truly believed we were doing the right thing. While I was working in the hospital, I remember one of these scary and frustrating nights. It was a rainy night in particular. I was supposed to work the night shift. The military trucks (mostly American made Dodge Three Quarters and Jeeps) kept “dumping” injured soldiers right in front of the main gate of Kagnew hospital. It had been raining the whole day. By evening, there was still a light but a stubborn shower of rain coming down. I remember noticing that the grass on the hospital’s lawn turning slowly reddish from the blood flowing from the wounded. The hospital was full beyond its capacity. Hence, because of lack of space, the newly arriving injured soldiers did not have a choice but to be “dumped” below the palm trees (that used to adorn the hospital’s entry) until help arrived, which sometimes would never come or, if it did, it would be too late for many. Since we were trained on just the basics of first aid, we were not supposed to touch anyone who was injured on the head or chest. We were instructed to only assist the ones that were injured on their limbs. We were also advised not to waste our time on the very badly injured ones. (Translation: let them die, do not waste your time). It was preferred to attempt to save only the savable ones. So, this particular night was the night that perhaps changed my life forever. As the rain kept pouring, so did the blood from the injured ones who were resting with agony on the grass. I started to smell the blood (I still do), the grass turned red, and the cry for help of the wounded kept going even louder, which still rings in my ears many years later. At this point, I just snapped and thought that I was awakening from a bad dream. As I got overwhelmed by the terror right in front of my eyes, I started running home. It was around 11 pm. I started running away from the hospital as fast as I could and did not slow down until I reached home, nor did I look back. My mother had just finished her shift and was already in bed. My brother and sisters were too young to be part of this horrific experience and were already asleep. I knocked the door frantically. As soon as my mother opened the door for me and saw my ghostly face, she immediately knew what was going on. All she said was “I know Tesfish… too many? Hmmm?” . And she silently dried my hair up and said, “Try to sleep now and do not think about it”. I tried to sleep…The cry for help from the wounded soldiers and the smell of fresh blood would not let me sleep, though. It felt that the bed sheet, the pillow, the house, my body, everything smelled like blood. The smell stayed with me until this day. I saw the ugly face of war first hand at a very young age. In my very young age, I saw more horrific war scenes in real time. Cleaning up and readying dead soldiers (Megenez) for burial was the creepiest one of my whole experience, though. It got even creepier when I found my own dad’s military badge in the same hospital’s morgue that his body was cleaned up for burial a year or so ago. When I found the kind of badge that my dad used to have in one of the drawers inside the morgue where I was working that night, I picked it up curiously and, to my amazement and sadness, as I looked at the back, I read my dad’s initials “KD”, for Kassa Desalegn with his distinct handwriting. This incident is by far the creepiest and the saddest part of my experience. I silently put it in my pocket and took it home. My mom still has it. My experience growing up in Asmara was wild. I experienced everything from loss of my beloved father to being treated as a “Donkey (Adgi)” simply because I spoke mainly Amharic. The ironic part of my being called Adgi (Donkey) was that I was the smartest of my class all the way from elementary up until I left Asmara when I was in 9th grade. It never made sense to me. However, I also had very good Asmarino friends that I still love to death. It was a confusing time for a boy of my age. (One thing I know is, once you befriend with an Eritrean, it remains a true friendship. They have this unique quality of being loyal. I have seen this through my lifetime Eritrean friends). My brave mother, my smart, always funny, and graceful mom, my hero.. oh, where shall I even start, if there was anyone as fiercely committed to defeating SheAbeya, and help keep the unity of Ethiopia, it would be my mother. She took it personally. She believed that they, the “Shiftas” (the Rebels) were on the wrong side of history and hated the fact that they killed her husband who was her friend and her companion, at such young age (my father was only 38 years old when he got killed). Yes, she took it personally. She never forgave them, ever. Though, she sometimes, in her usual wisdom, acknowledges that he might have also killed some “Shifta” (rebel) too. During those difficult and dark times, she committed herself to help the wounded soldiers to the fullest of her ability. She never cared if she had to clean them up, feed them, wash their bloodied uniforms etc. Even though sometime later, the Army decided to give her (and others like her) some monthly allowance for her work, she basically worked for free for a long time. I cannot tell you how the wounded soldiers (patients) in the hospital loved her and respected her. She treated them like her own children. Sometimes, she would just call them Tesfish (just the way she calls me) because she says, they always reminded her of me because of their tender age. She devoted her time and soul to them. She believed strongly on “oneness” of Ethiopia, which she still believes. Years later, EPRDF defeated the Derg and took control of Addis Ababa. At the same time, EPLF took control of Asmara, and of course, Eritrea. It is worth mentioning that the Ethiopian army fought bravely and selflessly until they realized that this war was unwinnable, mainly because of the corrupt system that they were led by. They really believed that they were fighting for One Ethiopia. No one is talking these days about the bravery of these young souls that gave their lives for a cause that they believed. Not to undermine the commitment, bravery, and selflessness of the rebels that they had to fight against as well, the Ethiopian army lost the war because it lost focus and sight due to the prolonged and ill-managed war. A couple of months after both rebel groups took their respective capital cities, I happened to be selected by the defunct remnant management of the Derg era Cement Corporation to go to England to study Ceramic Technology and later work in Awassa. So, during the first year of the transition period, I was in England. As soon as EPLF took control of Asmara, their first act was to deport anyone who had the slightest drop of Ethiopian blood (though many Eritrean friends of mine deny that). Therefore, my whole family was forced out of Asmara and left to the Midlands, to a land that they have never been before. My mother had to leave the city she lived for over three decades and my siblings had to leave the only place they knew in their entire lives. It took my family more than a week to arrive in Addis Ababa. I learned later that the journey was no fun. They had been strip-searched and harassed by EPLF foot soldiers. Forget what EPLF supporters would like you to believe, yes the inhuman deportation started then, in 1983 (EC) (1991). The deportees were forced to take their golden teeth and give it to the EPLF soldiers; they were not allowed to carry any money at all. To make things even worse, many of these deported Ethiopian citizens did not have any place to stay after they made it to the capital city and other main cities on the way (Adigrat, Woldiya. Dessie, etc..). For this same reason, I was against deporting Eritreans after the Ethiopian-Eritrea war broke out. I knew how hard and it would be for someone who grew up in Addis to suddenly be told: “you no longer belong here”. That was a mistake and inhuman as well. But, let’s be honest, this kind of action started way back by the same Eritrean leadership that cried foul when the other side did the same. Regardless, though, none of this makes the expelling of Eritreans from Ethiopia right by any measure. Addis was not necessarily friendly to all of the dislocated Ethiopians from Eritrea. Approximately 90% of them had to live under horrible conditions in the streets of Addis in makeshift shelters by the side of the roads. Most of them had children and elders that they had to take care of. As we all remember, in the early years of EPRDF’s rule, it was a common phenomenon to see families living under plastic makeshift shacks. Thanks to the residents of Addis and to the international community, these people were able to get at least some aid (food and other essentials). My mother and my siblings were fortunate in so many ways. Since my loving cousins (Desta, Tade and Assefu, I owe you a lot for this!) lived in Addis at that time, they did not have to go to any shelter. My cousins were able to take them in and shelter them for a few months. 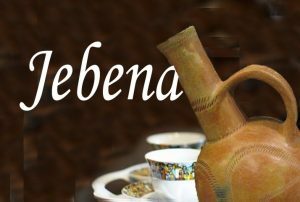 Besides, since few weeks after EPRDF took control of Addis, as I said before, I was sent to England to get some training for the new ceramic plant which was to be erected in Awassa, my monthly salary was available for them to use it as they see it fit. However, who would forget the scene in Addis during those times when all the streets of Addis were swamped with dislocated families, known as Tefenaqayoch (The Dislocated). This was twenty-seven years ago!! And the worst part was the fact that, though my mom continued working for the newly formed government (until she retired), once she started living in Addis since she (like all Tigrean women) always dresses the distinct Tagrawayti way. This made her be singled out everywhere she went and would sometimes get the ugly look. One day, she came back home very angry because someone called her “Anchi Woyane”. What that person did not know, however, was that brave woman he called “Woyane” did more than most Addis-Ababans to help the losing war against the rebels. But ironically, she is still the enemy! Why am I telling you my personal story in this critical time? After 27 years, here we go again! We are witnessing another round of dislocation of people from the very place that they called home for decades. After almost three decades of that horrible page of our history, we are still killing each other based purely on ethnicity. The reason why I told you my story was to give you some enlightenment of the horror of this kind of situation creates. I wanted everybody to think twice before they resort to arms. War is no fun, folks! It destroys villages, lives, families, dreams, hopes, history. It destroys everything. It divides families, it breaks villages, it devastates economies. It is no good for no one. After 27 years, we are again beating the drum of war between two brothers. The Amharas are getting ready to take back what they believe it is theirs by force, meaning war. The Tigreans are getting ready to defend their turf. Oromos are being slaughtered in Benshangul, Tigreans are being harassed and killed mercilessly mainly in many Amhara cities, Non-Sidamos are being harassed and killed in Hawassa and environs. The only city that seemed to be safe, Addis Ababa, is no longer safe. People are resorting to atrocious means of treating others that they believe do not belong to their ethnic group everywhere. Right around the time when some administrative change seemed imminent, I told my friends that I wished for someone from the Oromo region to take the lead. I said that because it was way overdue for an Oromo to lead the country, and because it was simply practical. When Abiy Ahmed was elected after so much speculation, I was truly elated and relieved. I thought our troubles were behind us. Especially once he started talking about unity, “Medemer”, Ethiopianness etc, my hopes rose to the highest level. I told my friends electing Abiy Ahmed as the PM was the right move. I thought that move would alleviate the tense situation in Oromia and elsewhere. However, a few weeks past, I started to be concerned about the public response to his election. It seemed as if Jesus had come down to earth and especially to Ethiopia to save the country. I cautioned my friends and family on how negative it is to praise this young leader unconditionally without being tested. I cautioned them about the unrestrained adulation and praise that is only seen in some dictatorial systems. I asked them to be careful not to lead this guy into a Cult to Personality. A few weeks later, I sadly realized we had made the wrong choice. I started to listen to his words carefully. I witnessed that his words were also carefully crafted to suit to the specific audience, and not to reflect his true beliefs. I started noticing that he loved to be loved and adored. I noticed that he does not have the wisdom necessary to lead this great country. I noticed that he knows how to hit the right cord depending who is the audience. I started seeing that he has the right words to say based where he is and who is listening. The fact that he was quick to make a statement after the so-called “assassination attempt”, the fact that he was absolutely silent after the hero of GERD was murdered, after his appalling reply to a question by a concerned citizen who asked him what was being done about the murder of Simegnih Bekele made me to really think twice about this leader, the PM. Every action, step, or decision he takes makes me wonder whether he really wants Ethiopia to stay united. It is obvious and for anyone to see how the federal government and its cronies are trying to bully the Tigrai Regional administration in particular and Tegarus in general. It seems to be that civil war is imminent unless some wise leadership shows up miraculously. So far, I do not see any hope that this is going to happen. All sides are bracing for the worst and are posturing to square it off. I just told you what I went through during my childhood so that you, the people who are beating the drum of war and, you, the people who are spreading hatred for whatever reason, are aware what you are wishing for. I bet you, the ones who are screaming to your lungs for war, to see the innocent get slaughtered each other would never dare be there in the front line. You, the coward ones, the ones who cry foul every chance you have in any available mass media are the ones who would be hiding in your mothers-skirts when the real horror starts. Yes, you, the ones who are spreading lies, distorting history, tell made up stories so eloquently would not be the ones who would be fighting the fight. Because YOU are cowards by your very nature! It would be the poor and the innocent who would die for you while you hide in Addis or Bahirdar or wherever you find a hideout. So, please stop it. It is getting out of hand and is going to be irreversible. My message for the sane ones is to please do and say something before it is way too late. I beg you in the name of my father and others like him who gave their priceless life for their country, on all sides. I am begging you on the name of myself and others who had to grow up without any father figure in their lives. Let’s please create a situation where more children lose their fathers and grow fatherless, more women become widows at a tender age, like my mother who never saw another man ever again. And she was only 38 years old when my father was martyred. If we are to bring peace and keep our historical unity, leave singling out some ethnic groups, like the people of Tigrai. They have suffered enough already. It is insane even to think that we will stand as one people without these people that have suffered and sacrificed more than its share. How can we talk about Ethiopia without including the humble and brave people of Amhara, Tigray, or Afar etc. Where is the UNITY? Remember Rwanda? Are we waiting to see until our country becomes “Rwandanized”? Is this what we wish for our people? If things stand as they are, this is what is awaiting Ethiopia. Be careful of what we all wish for!! At this crucial time, we have a choice to make: Acknowledge that we are one and only one but also diverse. Our diversity has been the glue to our unity and the source of our pride, beauty, and strength for hundreds of years. Or disintegrate and become many small new African nations with no substantial power in the world arena and in the African affairs. We will become other many “Djibouti” in Africa. Our people have more wisdom than we give them credit for, and hopefully, sanity will prevail!!! Hi All. Some believe that Meles Zenawi died from septicemic plague. Neutralized former senior PFDJ now in Eritrea but no longer active in the dictatorial Government, are not bubonic plague carriers and should be engaged in efforts to effect positive change in Eritrea. Effecting change in governance thru former Senior PFDJ members does not necessarily imply continued longevity of the PIA/PFDJ regime. HI all. Stagnant senior PFDJ members, those who have been placed on early pension and those that have been placed on ‘stay-at-home’ neutralized status, are now the most likely enablers of positive change from within Eritrea. Largely, this group (mostly in their late 50s to 70s) can now freely travel (if they have financial means or medical justification to do so) to and from Eritrea. Since the Ethio-Eri peace agreement, they have 1) Taken opportunity to send their spouses and children out of Eritrea (you would be really surprised of the numbers), 2) Engage in anti-establishment discussions while outside Eritrea, and 3) Become far more visible as expected possible reform agenda leaders while inside Eritrea. Over the past few months, I have had the opportunity to meet with several from this group in the U.S., Italy, Switzerland, Ethiopia, Kenya and Germany. Some are in financially desperate positions, while all are angry with the current status quo inside of Eritrea and wish to push for rapid change. They still command respect from most current PFDJ senior and line members and collectively, since the peace agreement, have real leverage to lead change from within. It would therefore be wise for opposition efforts to focus communication strategies on this group. At the same time, it would also be good to ‘name -and-shame’ several current PFDJ members who have since the peace agreement (or even before) arranged to have their children sent abroad while at the same time, either overtly or through their silence, supported continued endless national service. Hi All. It seems as though ANY and ALL discussions that pursue much needed Government reform in Eritrea that are in ANY way connected to the PFDJ are completely off the discussion block. The boat of opportunity continues to sail away. The ‘Opposition’ and the forced ‘stay-at-home’ to work together? It will be the blind leading the blind, or even worse, a pact between Ebola and HIV. Hi Simon Kaleab. LOL. Maybe I used incorrect wording. There are a number of the former Senior PFDJ (some widely respected) who were purposely made/left unemployed. Since the peace agreement, many have travelled outside of Eritrea and have become very vocal in their views against PIA. Many amongst the younger PFDJ ranks are starting to look toward this group to take on a leadership role in pressing for much needed Government reform and accountability. Hi All. Massawa space for Ethiopian naval presence now almost ready. Ethiopian fleet to play active role in protecting/safeguarding Somali waters. Hi All. Guess who sent their kids out of the country when the Ethio-Eri borders were opened? Look at Ministers and senior PFDJ members, both active and those retired or on ‘stay-at-home’ status’ a bunch of their kids are no longer in Eritrea. Why not do an article on status of dependents of Ministers and senior PFDJ members? Tell of how senior Government members have pressed for national service while quietly arranging to have their own children quietly taken out of the country. Let us wash the dirty laundry in public. It is actually the group of senior ‘stay-at-home’ status PFDJ members who are now the most angry at PIA. Put the spotlight on them and spur them into action! I thought your political drives are your “own thoughts” that unfortunately coincided with his. So now, you are following him simply on trust basis. You trust him because he is consistent. You hurt my feeling on you. Not good at all. One of being consistent is not necessarily “right or truthful”. I don’t want you to be a foot soldier of trust. Rather I want you to be one with independent mind and with your own thought process to formulate your worldview to debate passionately with your fellow citizens. Because, freedom starts from that core principles. My advice to you is get out from doing politics on trust basis. Eritreans have lost their freedom because they trust their leaders unconditionally. Language is a mystery in the sense that not only we speak it but we think in languages as well. That is, our thought process is structured in languages. If one is say from, southern part of Eritrea, one most likely not only speaks Tigrinya but one thinks in Tigrinya as well. And it was the “Cognitive Revolution” that made us to stand in a unique position with in the plethora of species where we are also unique in the sense that we are aware that we are thinking where the mind is ceaselessly restless in comparison with other species. What’s more interesting about languages is that, they grow, adopt and morph particularly through contacts as in either through migrations or conquests as our not too distant history attests to that effect. My own father for instance, typical of his generation, was fluent in Italian so much so that he added more Italian words even when he spoke to Tigrinya speaking people. It was mainly Sicilian dialect that he frequented but the question is, what if most of the Italians who had settled in Eritrea had come from the more industrialized with an influence of Northern Europe in culture and world view [The Northern Italians were under Austria for centuries and the South under the Bourbons before the Italian Unification in the early 1860s] ? Would we have had the word “Skunis” in our vocabulary, for instance? I think not. This takes me to an interesting case study if you will where language and its intricate link with migration and conquest is a marvel in its own right. Most of us came to know and learn more about the Island Malta in the early second decade of this century when Eritrean migrants made it to the headlines as they tried to sail to Europe via Malta in the merciless and high seas. Malta, however, captures a unique history particularly the Malese language which reflects the nations which had conquered it through out the centuries. As you know, Malta is located pretty much right in the middle of the Mediterranean sea between Sicily and North Africa. More over, it is the only member of the European Union with a Semetic language. Yes, it is remarkable in the sense that a European nation with an official Semetic language. Experts tell us that, 1/3rd vocabulary of the language is Arabic, 1/2 is Sicilian and 20% is French and English. The fact that it is close to the Maghreb states as in Tunisia, Algeria and Morocco, the Arab vocabularies are Arab dialect of the Maghreb nations for they had cobquered the Island during the first Millenium. Later on, Sicilians not only replaced the Maghrebs but started to settle on the Island where the population became more mix of different races. In one of Tarantino’s great movies, “True Romance” typical of Tarantino’s scripts, there is this scene at the end of the movie where Denis Hopper talks sarcastically about the history of Sicilians to Christopher Walken who plays a Sicilian mafia. As he smokes a cigarette nervously, Hopper says, “…the Moors did a lot of *%$@ing in Sicily and that changed everything.” Apologies for the language. from all the words wich we inherrited from the italians the one that fascinated me is “Mskin, Meskinay” it’s interesting that the same word in italian “Meschino” and in sicilian “Miskinu” have a slight diference in meaning. The tigrigna version has the same meaning of the sicilian “Mishinu” and I have always wondered if the sicilians have influenced the tirgnigna word or if both, Tigrigna and Sicilian, have being influenced by the arabic word “miskīn” (the arabs have dominated Sicily for centuries). That is really interesting and wish one could take on the study to see how much the Sicilian dialect influenced Tigrinya. And would love to have my hands on if there is any literature to that effect you know of or any Awatista for that matter. It was one of the reasons, the settlers took Eritrea not as a colony per se but as their own so much so that they tried to create a replica of Rome in Asmara in particular. Tekeste, however, didn’t mention the language aspect of the settlers or its influence on the local languages. I digress. What is the difference between sending a sniper to kill and being happy by the death of a criminal in natural way ? I thought death for the soul is what matters than death to the body . Any way Amanuel Hidrat tried to be an angle and the so called good human being when I openly admit my happiness by the news of Tesfahuney death . Amanuel Hidrat , Amanuel , Paulos , Berhe and Hayat tried to import their sympathy to a Dergi Boucher death , Some even tried to make Tesfahuney as an agent of EPLF as well as a helper to Eritrean families, they tried their best to insult the victims of Tesfahuney openly by narrowing his crime to an agent . What kind of hypocrites are they? I wonder if they think they are the sole storytellers of everything in this forum about Eritrea. 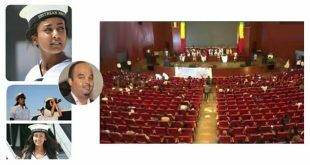 Most of them still carry the vengeance against EPLF and some of them show a weyane premiere of discussion about Eritrea . I watched most of them trying to create a friction among Eritreans by popping up manufactured stories. The failure of these people’s dream on the face of a dictator in Eritrea still amuses me about what kind of losers and hypocrites are these people . Eritreans especially these out side live a double life , one by creating havoc among Eritreans for the sake of justice and others act as caring while calling a Boucher contract in disguise. The above article is forecasting the notion that we heard 60 years old story in which all based on lies . I would not feel any sympathy if Mengistu Hailemariam get killed by a speeding care infact I would be so angry that his dead was so quick because his death must be a slow agonizing death and I would celebrate that better . This is. Pure human being wishing to feel good about the death of a walking evil because the believers evil never existed just as their hallow angel doesn’t. Second, please don’t accuse people as such as “Dergi Boucher death” if you can’t back up your claim with evidence. As far as the law is concerned TM hadn’t been found guilty of any crimes. Rumours can’t be replacement for due process. Third, no one suggested TM was an EPLF agent. There is a big difference between saying he helped an EPLF operative out prison and he was an agent. Yes, there was rumours floating around first when he was not arrested, then when he was released in the early 90s. But as I said above rumours are rumours. Fourth, as Saleh Johar said he came back to Eritrea with him in1991. You can have an educated guess that if he was as Boucher as you are accusing him off, would he came back voluntarily or shackled on the pick up land cruiser like the others. First it was not me who brought the subject second if you read my first comment about the killer , I said” even though he should have got his day in court , I am happy he is gone because our heroes are dying in prison without any trace.” Now back to you ,giving the man a pardoned closure for me is unacceptable as I see him no more less than Mengistu. Do I feel you guys tried to wash him with good things, yes . Even ordinary Amhara soldiers for that pry were only accepting pocket money to pass his game . Educated view , ahm are you trying to play the high road while trying to save a drowned killer ? Ok , you need me to come with prove against your stand , ok first let his Canadian based son talk openly about his father good deeds and I will make sure to come with a detailed info and why he was arrested after 2 years of independence , his case was OPENDED because ordinary families came with a concrete evidence that he failed to deny in front of his top EPLF friends . Don’t you feel it is tasteless to talk that bitterly about a dead person? Where is your humanity? I do not know the guy apart from that brief encounter on a road trip. But I have no respect for Eritreans who served the occupational regimes. However, it is not good to beat a dead body and that is what you are doing. Now we have living people destroying the Eritrean dream as we beat dead persons–do you think any of them are better? Why are you not bitter about what is going on around us as there is frantic mover to reverse our independence! Please, I beg you to make your comments decent and palatable. I honestly believe your comment is tasteless. ND I AM SAYING THIS TO YOU AS AN OLDER BROTHER, PLEASE GIVE IT SOME WEIGHT. The reason Eritreans are not fighting DIA and his sycophants is that they are not unified under one umbrella. They don’t trust each other based on religion, party, and habitual differences. Such differences did play in the infighting between ELF and EPLF. Disunity leads to frustration, which causes people to just abandon Eritrea and seek solace somewhere….exile. It is better to say that eritreans are equally divided and frustrated as ethiopians are. Over the last three decades of tplf rule, our social groups were made enemies of each other, and they killed and died and still do so, and any trust that existed between our people had been made to disappear. They were poisoned with hatred, and yet they brought their nemesis to its knees, because when injustice affects the majority, people are brought to the point of forgetting their minor differences, and out of necessity they are forced to stand together to survive. It is only natural to act this way. Today ethiopians are showing an unexpected cooperation and solidarity in the face of their past tormentors and plunderers. Nevertheless, it is too early to say that the genie has returned to the bottle fully yet. As it is said, a spark sometimes becomes a big fire. That exactly is what happened in ethiopia (fortunately, not literally), when the queerro came out and faced the armed agazi killing forces. This was followed by the fana and others, which culminated in the eviction of tplf from power. Do eritreans know their problems: absence of freedom and injustice? Of course, they do. Do they know the culprits? Yes. Have they finally decided to get rid of their nemesis? That is a million dollar question. Whatever DIA and his pfdj may have done, they see them through the smokescreen of gedli and ethiopia, the enemy, and they cannot commit themselves to depose them. The release valve of “fleeing the country” has replaced confrontation, and it is working perfectly well up to now, and whatever one my say, for the time being this will continue as the sole solution, especially for the young, who have come to doubt the viciousness of the monster south of the mereb, and they could not take for granted the freedom and independence they are being told they have been given by the regime and the gedli generation. They are proving it themselves during their daily life. If i remember well, about a year or so ago, the eu had said that it planed to build two industrial parks in ethiopia, where refugees will also be able to work and make a living, provided ethiopia provides them with residency papers and work permits. Maybe we are just witnessing the first steps when we think of the latest decision by the ethiopian parliament. Of course, ethiopia will benefit from development, the eu will somehow curb those who want to enter europe, and young refugees will have purpose in life, and not get lost forgotten by their governments and the world society in refugee camps. Ethiopia becoming the positive pole of attraction in the horn is a possibility, and i believe that world powers want to see a strong ethiopia in the region, which will be able to stabilize the whole region of the horn by creating a strong economy, defense force and social cohesion, in which most if not all the countries of the horn will participate. It is all about integration. Why does the same regime that shot to kill when eritreans crossed the border, after the border is opened, does not seem to care about the border or the outflow of refugees, and says nothing. It is relaxing as if it has solved all the problems. What would you expect to see in the horn in a decade’s time? Independent eritrea confined in a box, or open and free eritrea in cooperation and integration with countries like ethiopia by forming some sort of tie, which one can call it by any name. Remember, the red sea is the weakest link in the trade movement between the east-west, and oil rich gulf states want to see it open, despite whoever may want to control this water way. Centuries ago, even ottoman turks and egyptians had tried to become masters. As much as ethio-eritrean rapprochement is concerned, the old gedli generation abhors it, because it shows them the futility of their 30yrs of war and sacrifice, which means returning to the starting point, (YG had ones called it a circular journey in search of ethiopia). As much as the eritrean regime is concerned, it does not seem to care now, as if it saying you can travel and trade now, what else do you want? The young generation of eritreans are born in to a life of sacrifice, and they seem to have concluded that after all life is not only about identity and sacrifice for it. Identity is a myth created by the elites, and sacrifice is meant for the gains of the elites and not the people, while life is all about peace and security, freedom, and economic prosperity, and to live as a decent human being anywhere these things more or less could be available. Their predecessors, the gedli generation are doing it, and why not them? The two opposite poles are not working, a new balance and a new status quo is forming in the ethio-eritrean relations, and how to make the best out of it for the sake of both people is what matters most. It is time to dump identity myth, it is time to stop sacrificing people from a safe distance, and let us accept that WAR IS A ZERO SUM GAME, and there is some truth in what the ethiopian pm Abiy said, paraphrasing him, “it is utter insanity to think that it is possible to destroy the other and survive, for the destruction will be mutual and complete for both parties”. Let me reverse what you have said and question you: Do you digest and swallow, as an Ethiopian of course, to tell you forget about your identity and 3000 years old fake history? Yes, 3000 year of alleged independence and Ethiopia still crawls. There is nothing to brag about. Is poverty, ignorance and expecting donation from anyone who passes something that makes a person proud. I know Ethiopia has the history of failure in all walks of life. As much as the 3000 yrs history historians talk about, you can either take it or leave it, but there is no reason to be obsessed with it. I hope you will someday tell us your own version of the history of eritrea: especially when eritrean history begins for you. Is it since the italians set foot on the shores of the red sea, or since the coming of islam? Were there people in the region before the italians came? Were they part of the history of the adjacent regions, who call upon this ancient history, or are you denying their participation? You can exclude yourself and others like you who are against this ancient history, but, why the whole nation? As to the poverty and failures of ethiopia and ethiopians, you must be a late comer, because others were saying the same thing before you till they understood that they are no better themselves. If you are comparing ethiopia with your arab friends, again there is no comparison, because what they have is not the product of their manual and mental labor and achievements, but the result of the fortune that is gushing out from beneath the sands without doing nothing themselves. Otherwise, they would have been worse than ethiopia. Therefore, don’t be happy and proud for the sake of others, because there is nothing you can gain out of it. Be your real self – a poor horn of africa nation, which has to toil a lot to bring a better future for its people. Yeah, you collapse to your reality when you are faced with truth. When I commented about Ethiopia and her 3000 years of alleged history, I compared her with civilization that humanity has accomplished. The Arabs or Islam didn’t pop in my mind, but since you are sick; you immediately jumped to Arabs and Islam to show how racist you are and void of all values. A person can hold one principle that never changes wherever direction he goes. His principle always directs him to his core values as we observe in any compass that indicates only to north. Though you feign to be a democratic, liberal and look all Ethiopians equally, but that is not true. Your claims to be true should be consistent with your look towards humanity. The abuse of one human being is the abuse of all humanity. You should not differentiate among peoples due to their colour, race, faith, etc. Moreover, freedom of faith and opinion is the right of every human being. The moment you are caught practicing aggression towards others faiths or opinions, you are far from believing in freedom of thought and faith. I have seen how you take sides among the Ethiopian peoples. You attack Dawud Ibsa and Jawar Mohammed from faith point of view, and you demonize Tigraians for toppling the Amara rule. You are against the Tigraian people just for dismantling the Amara from ruling Ethiopia. How many are those corrupted TPLF? Are they 100 or 1000 individuals? In relation to this, what is the number of TPLF members? Are all this party members corrupted? If the answer is no, then why do you demonize the entire Party. In your dictionary, when you hate one from a sect, faith, ethnic group or race, you paint all and demonize them, percentage is existent in your book. You believe in Dr. Meddamar, the narrow-minded and naive guy, for thinking that he will bring you back the rule of Ethiopia to the Amara. Likewise, I have observed in one of your comments that you are not happy about Ethiopians go to universities around the country. You want only one university in Addis Ababa where you learn alone without competitor. You want education for the privileged only. I think, furthermore to your racism and fanaticism, you enjoy empty boastfulness, hate and strong spirit of revenge. It is good to visit a physician to treat you from your ills before it is too late. Horizon has no principle he just hates Arabs/Muslims. Are you a historian? What are your credentials? Don’t jump from one topic to another and rant aimlessly as usual; give a precise answer. Did you live during the HS and Derg era? Or are you old enough to compare the quality of life and economic development of the Ethiopian people during EPRDF, HS, and Derg? Do you mind to tell us your own social group, just to give us the general glimpse of your judgement? The level of economic development and the quality of life during the 60s and early 70s (HSI era), that of the derg during the late 70’s and 80s, when ethiopians saw wars and destruction, and the tplf/eprdf period of the 1990 to 2018, when there was a lot of capital inflow from donors and foreign investors, and land for the taking by any foreigner, we can not easily compare the three period in ethiopian history. What we saw during tplf/eprdf period were things that did not exist during HSI or the derg, wars and destruction in one case and capital flow in the other. Nevertheless, it does not mean that the life of the poor has improved, the majority of ethiopians have stopped living below the poverty line of $2 a day (maybe<$1 a day), ethiopians have three meals, and much more if the so called economic development benefited those who were near power and came out the nouveaux riches of the ethiopian society, while the majority of rural and urban ethiopians gained very little, as long as they were far from power. The story is that, if we take the gerd, the last report says that about 100bn birr was spent, while the whole construction was meant to cost around 88bn, and the job done is less than 50%, if we leave out salini, that has done the job allocated to it, and the gerd is 4 yrs behind due to corruption and incompetence. Who is responsible? It is none other than the tplf/eprdf government, with tplf the boss. If there are high rising buildings with unknown owners, it shows corruption and not development, if there are thirty or more universities that produce low quality graduates or jobless young people with degrees, it does not always mean development, if he quality of education and the chances to fulfill the dreams of the young are not there. At one time HMD, a tplf puppet, had said that if university graduates can’t find jobs, they may as well lay cobble stones, where they can easily find a job. We are already seeing the construction bubble and the big corruption, where people who have paid their good money did not get the villas or condos as promised. The point is that, with such aid money and investment tplf/eprdf got, the present gov. could do much better job, and the ordinary people could have ended up beneficiaries and not only those who had political connections. Finally, as much as my social group is concerned, the reality is that ethiopia is a melting pot of ethnicities and i am an ethiopian national by birth. I come from multiple ethnic roots, and fortunately i do not see myself as belonging to the one or other ethnic group. I have always felt an ethiopian. We in this group who do not call on our special roots, and believe that everybody in that country is an ethiopian, and every corner of ethiopia belongs to all ethiopians, are in millions despite the division of ethiopians in to nations, nationalities and peoples and killils according to Tplf, in whose concept there is no ethiopian, but groups , where others have no place, and the main aim was to divide and rule. Let me State from the onset my philosophical approach. I am a proponent of “institutionalism” and always argue as “institutionalist.” Keep that in mind when we debate. Now, the ruling party in Ethiopia is the EPRDF party (the coalition or front-party), irrespective the affiliation of the three elected Prime Ministers in the last three decades. That is straight forward (Fact-1). (d) The “success” and the “failure” in governing the nation and its people will be duly attributable to the “PM” and the “EPRDF” party (Fact-4). (e) The accusation of corruption of government officials is accusation to EPRDF ruling party that is running the business of the nation. Looking from the institutional structure you can’t throw accusation to a single party in the front-party. We need an institutional eye to evaluate events and deeds of a ruling party (Fact-5). I wonder where the one and only Hayata the Tigress is? Your question to Horizon to which social group belongs to reminded me of one of the TV program I talked about weeks ago, (“rendezvous en terre inconnue” or meeting in a strange land). This time the celebrity was taken to one minority group in Rajasthan in India. After few days of staying, the guests decide to interview the host rajasthani ladies (bright ladies) who answers their questions honestly. Then it was the turn of the ladies to ask questions and one of them asks the french celebrity: in your country to which caste do you belong to? Of course no comparison of you to the naive ladies or Horizon to the celebrity, but I am wondering that Ethiopia has been reduced to social groups, nationalities and ethnic groups and we need to know to which one belongs to understand his thinking. Thank you for interpreting the French TV program that is pertinent to the issue at hand. Hailat, take it for grant, where there is injustice and inequalities in a society with in the social groups of a country, there is always a struggle for fairness and equitable justice. The struggle of the Ethiopian social groups has been the same since they launched their armed struggle. If there is no distribution of powers and economy with in the social groups, the crises of Ethiopia will persist to exist on off on. I don’t think you miss that. I like your sarcasm. Such approach sometimes help for diffusing strong contrarian views from derailing to unpleasant discourses. It is good tool for leaving rooms for re-engagement. Keep that. Now, my point was, not because you don’t form your own opinions that I consulted you in my comment, but your conceived opinions are always congruent with the idea and policy of the despot on how to handle his subjects. You are strong defender to the policy of Wedi Afom. Am I not right George? You have a good grip on the Eritrean politics and you could debate with full knowledge, except it does not serve to the wellbeing of our people. I always enjoy reading your substance studded comments where the rest of us not only learn from but we get challenged as well. The cracks as you put it were not a question of if but rather a question of when for the regime never had the legitimacy to govern much less to connect with the people. As you know, legitimacy comes in different forms and shapes where monarchs, for instance, own it through divine rights and in the case of China, through sustained economic growth where the people become too complacent to entertain the question of political rights. And of course, authoritarian regimes claim legitimacy through brute force and intimidation. The true sense of legitimacy, however, rests on popular sovereignty. What is so sad is that, the regime in Eritrea won legitimacy in leaps and bounds when it captured the hearts and minds of the people way before it morphed from a guerrilla Front to unhinged dictatorial regime. Moreover, with in the last two decades, the regime engaged in psychological manipulation and deceit to feign legitimacy where the true believers fell for its cheats and deciets till it lost all the cards due to fundamental changes that have taken place in Ethiopia where it seems to be the beginning of the end for the regime as the people particularly its erstwhile base start to demand the same reforms and changes in Eritrea as well. It is not a melodrama to claim that the regime is stuck between a rock and a hard place for the reason that, if the Eritrean people are to enjoy a free movement to and from Ethiopia, they will not be confined into a hermetic place and will keep asking questions for their wellbeing stands in a sharp contrast to Ethiopians including in civil liberties, political and economic freedom as well. (b) You Said: like the Sudanese, we don’t have the culture and history to revolt. Generally, you are right except the student demonstrations in the late 50s and in late 60s. The general public do not rise up to revolt no matter how painful the operation could be. So your assessment is not far from truth. (c) Unlike you, my believe remains unless the despot is neutralized, there will be no change in our nation. As far as the change is expected from inside, and as far as the Eritrean people have no a revolting spirit, there is no justification of change by other means, except by a sniper with a precision from good shooter. (d) Those who think the elimination of the despot will bring the end of the political crises of Eritrea, are naive to say the least. It is just one barrier removal from the many.The despot is survived by the mistrust and divisions within our society. Nothing else. The big hurdle in our politics is just after him, to bridge the divided society, and what meaningful bridges we could build to maintain the equilibrium of our social groups. No self respecting Eritrean should accept Ethiopian citizenship. You did not fight for 30 years just to turn around and seek for a citizenship you run away from. It is an absolute shame of no comparison. 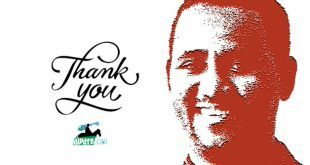 I wanted to share this video with you so that you can judge the way your fathers and especially like the writer fathers situation at the mercy of EPLF . your fathers? do u know a lot of ethiopians were against the derg? those soldiers were not even 1% of ethiopia population at the time. why don’t u check out ur fathers /mothers dying and crying of starvation in all over tigrai in 1977 ec. there r a lot of youtube videos that shows ur mothers and fathers dying and crying. no matter how much zegzag ur heart is, u not going save buried alive tplf. I don’t have fathers who migrated to Tigrai . Second the video is only to the POW of Ethiopians not necessarily all Ethiopian fathers because that would be something else . U said ethiopians and fathers, that is topical lebi tigrai. I know u don’t have father who migrated to tigrai, no body migrated there but ur father is born and die of starvation there in tigrai. u think just because tplf is buried alive mean the war is over? no, it means ,just changed it’s character. Sure it’s something to be proud of how EPLF handled the PoW. But IA justice is not much to speak about. For example just recently a guy named Tesfuney Measho passed away in IA prison. He was official during the Derg and IA ordered his arrest and never saw the day light and died. Never brought to court, never sentenced but his file was closed. May be he deserve life in prison, I don’t know but he was never given a chance to hear his charges and a chance to defend himself and a chance to regret, reflect and apologize if need be. Our pain is endless when everything will be exposed. May his family find strength. Forget the criminal tesfahun , our heroes are dying in prison and if you think I will feel bad about Dergi Boucher guy , you are wrong because I am happy he is gone . He should have been killed long time ago. Tesfahun Measho must thank EPLF that they put him in prison. Remember he was zooming in Asmera up to 1992-3 and after that individual families call for his arrest and account for his crime , what happened after that is history. Does he deserve his day in court ? Yes but I am happy he is gone . I am suspecting you know his son , just guessing. I mean the one in Canada , anyway I am happy he is dead . You can never happy someone is dead. No one should bath in happiness because another person was dead. Nore importantly, it is so absurdity one fetches happiness from the death of another human after suffering a long prison time without a single court day. The purpose you posted the link above was to take a pride from the fact that how PoWs were humsmanly handled during gedli. Here, you came around to share your happinness of a 27 years prisoner! And you wanted to send this note to his son in Canada: “I am happy your father is dead in prison without a chance to reflect in a court”. What happened to the Eritrean culture of decency! This is scary! I have never heard anyone an Eritrean at that who draws gratification of someone’s death. This is the abyss of darkness to say the least. May God have mercy on all of us. The hypocrisy among many formers in this site is mind boggling. You forexample with your group intiated for the idea of weyane war planes to Bomb Asmera for certain days, where will these planes bomb land ? I a bare land ? For me any passing living thing in Eritrea is accounted yet you try to show your human sense by caring for a Dergi Boucher while sending your support for war planes to kill many innocent people. Hypothetically you can see Amanuel Hidrat openly calling for a killing in an open website forum , you see the hypocrisy of him caring for a criminal death in two different plates !!! Ok what the heck !!! 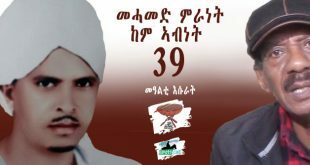 Tesfahuney murdered many young Eritreans when they try to join EPLF or acted evils as a pay back . How many young men slaughtered by his order is left to each family but I know for sure he was arrested because he is a criminal. Do not forget also I said “ he should have his day in court but that will be just irritating to everybody as we watch our heroes die in prison . For me there is nothing difference between Tesfahuney and an ant died by rushing car , infact the ant shouldn’t have died as he is useful for our eco system balancing factors. Tesfahuney was a criminal who killed people by burning their house while wife, small children slept inside . Don’t you see the fairness of his death ? My only regret for his death is that he lived long breathing Eritrean air . I don’t know what exactly the crimes of Tesfahuney Measho were, however as human being he deserved justice. He deserved his day in court regardless of the crimes. God bless you! Really. People may wrong us one way or another but we should rise above the human condition and be able to forgive. That is the foundation of the Eritrean culture that I know of. That is the Eritrean culture I grew up in. I don’t know whether TM is an Eritrean or Ethiopian. However, it doesn’t matter his identity in the court of justice. The man should get a day of due process in the criminal justice of the nation. If the head of a government let citizens or foreigners for that matter, to be rotten and die in a jail without having a day in the court of justice, it means we have a nation governed without laws and rule of laws. As a matter of fact, it is not only TM whose fate is determined by the despot and his lieutenants to die in a jail without facing the court; but also, many of G-15 (if it is true) are disappeared for ever in the same circumstances. Nothing is new. But those who are happy for prisoners to die in that manner, are those who are not endowed with the virtue of justice. Sadly, they will remain to be as the anomaly of our society. TM is Eritrean. He was government official during the Derg. I don’t remember exactly what his role or his title. I don’t remember him being military official. What I remember people use to say, he was in charge of organizing the militia sernai. I met Tesfahonegn in Mekelle in June 1991 a few weeks after independence. There were many of us stranded and we were trying to get transportation to Eritrea. Finally, we found an old Landrover, cranky with no headlights. There was the late Ibrahim Glewaay, two young merchants returning from Addis, myself, Tesfahonegn and his son, and I think another man I can’t remember. Wen we crossed Negashi (?) and went to the hills that hardly had space for a car to move. The road was so damaged driving was dangerous. Then it was pitch dark and the driver gave us a flashlight–passengers took turns leading the car with a flashlight. We took turns every kilometer or so. Then we arrived at Zalambessa and that is were the two young merchants pulled a joke on me at a small hotel to ask for a bed. The man asked me if I wanted debbal or single, and I thought double bed will be good only to be led to a dark room where two women were sleeping on single beds. The mak wanted me to join one of them in the bed. I run out horrified and two jokers were killing hemslves laughning. In Senafe everyone was looking at TM and wondering how could he be that bold and come to Senafe. A street boy approached him and whispered something, that chatted for a few moments and the street boy started to shout: “this what we do… shabiya was operating inside the belly of the Derg,” insinuating TM was a double agent working for shabiya from inside the Derg structure. In Asmara, we stayed together at the Ambassador hotel and I never knew what happened to TM until now. Thank you for sharing. You unbelievable gift of telling a story. Before I replied to you I wanted to speak with a friend who is related to the family. According to him he was arrested two years after independence (he said one year for sure) and all they did was they sent security and told him, you are being wanted and that’s it. Before that all the big guys (like ministers) use to hang out with him and in his house. So I asked he was working with shaebia atthe sane tie he was with Derg and he said, yes defiantly. What you wrote seems to collaborate to what he said, I did not mention anything about what’s written / discussed at AT. Even when his wife passed away, they wouldn’t allow him to go to her funeral. I told him to let his children or his relatives should encourage and write his side of the story specially if what he said being double agent is really true. They owe that to him and his children. I tend to think there is some truth to this, otherwise why would he risk his life and goes back to Eritrea knowing fully that EPLF will come after him. Suspended feeling ? His families will write in purifying his history away from the crime he committed, He was taken because people asked for his arrest if time permits there will be an open artifact of his crime on Facebook live as well as live eye witness of his crime . So tell his families that people are alive and well to tell his crime supported with pictures of live he took and the dates names and the acts he committed. You and your story teller are talking about things you have no clue . His son can talk but who is going to believe his lies . Tesfahuney Measho was a criminal who committed countless crime . Let his son start open his mouth , tell him to talk and we will see how his father stories will be ON . The man was a criminal and what SG told about his journey and pickup car story does not talk about the crime Tesfahuney committed. I wonder how you know so much:), you seem like you have a hand in it. I never said he was innocent or guilty. If you are normal person and we live in normal country then all this “he did this or he did that” would be useless because he would have been brought to justice. Personally if he had committed crime and got death sentence, I would be ok. I never said we should allow criminals to go free. But it’s up to the state to prove that he was guilty, until that’s done he is innocent. Everyone innocent until proven guilty, do you get it. What ever those people accuse him off, I am not saying they were wrong, but only power they have is to bring it to court and testify. I hope you are not going to give new country, no resources bull cr..p.
For sure I do not know what his role was except that he worked for the Derg. I just narrated what I observed in Senafe. But in Asmara, he was certainly rubbing shoulders with many senior officials. I was confused when I Iearned half the people who worked for Derg were presented as “WshTawi Sr’Eet”. I even told a friend, “if we had that many double agents, why did it take us that long to defeat the enemy.” Many people were mentioning that phenomenon with mockery and a chuckle. Just pls, compare the crimes of the despot on the killing of innocent tegadelties for asking organizational Congress in the ghedli era and the suffocation of our people under his grip after independence, with that of the supposedly crimes committed by TM, you will find the Eritrean people will side with despot defending him, especially the highlanders. It is mind boggling. The bond of Issayas with the highland section of our society still remains strong as we speak. Where are George and FishMilk to justify it. You are mistaken, Isaias has no bond with highlanders. But he has a bond with individuals [his partners in crime – which included the G15 before they were arrested] who happen to hail from all regions. The core strength of Isaias is the mistrust and lack of bond between the highland regions. I will agree with your last sentence as one of the factors to the “reasons” as to why we are entangled with despot this long. No I don’t know his son and it’s not the reason I replied. I heard about the Hazen though. Justice is justice is justic. For the criminal, for the wrongly accused, for the innocent. Only a rule of law is the supreme power and its blind to all. Anyone who is not proven guilty is innocent. IA may not have ordered a quick death but do amuse your self he is better than those butchers, in fact his method is henious, worst than the others. You will see all the horror that will come out when he is gone. They way you think gives me a glimpse of IA checkan libi, I wonder sometimes if you are him :). Let’s be honest here you attacked MS because he criticized TPLF, not Tigray people, and I replied to you because I sensed a gross inconsistency on your side. Now, if you are comfortable with declaring TPLF is Tigray and vice versa, then you have no choice but to take all the good and bad that comes with baggage otherwise trust me it is hard to have it both ways even Hayat Adem, one of the sharpest Eritrean woman, has failed miserably. How exactly and in what terms did I fail miserably? And says who? Is this judgement call from you? Peace, you could be right that I had failed but it is just I am not aware of it yet. My purpose here is sharing ny views and learning from other awatistas. These two purposes can never be frustrated as they start and end with me. Not a judgment at all. 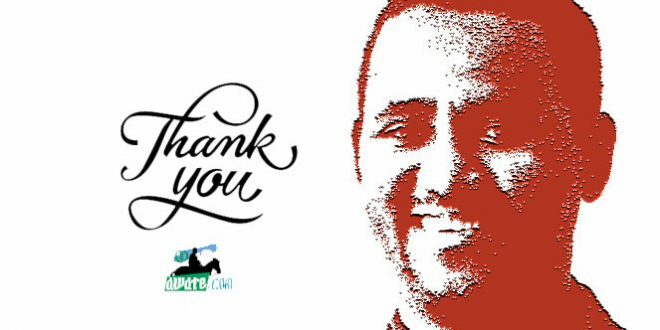 I simply reconciled your long-held position, supporting injustice, legitimizing fake elections, ignoring victims, recommending surgical bombings, undermining Eritrean identity, with facts on the ground, and the result is-spreading fears, resisting change unless otherwise, claiming Tigray is the only safe place, and sadly, mute(cricket) on normalizing PFDJ crimes by democratic TPLF. If this is a result of sharing views and learning experience, then the term advocacy has different meaning. The Ethiopian military convoy, which is part of the AMISON peacekeeping in Somalia, is ambushed by Alshebab today near Burhakaba, in Somalia. The military convoy that were heading towards Baidoa sustained heavy casualties. Preliminary report indicate 50 casualties. It seems Alshebab are regrouping to destabilize the region. Now, the question is, in the light of the new agreement between Ethiopia and Eritrea, is our despot going to send our youth to the death bed of our region, without a respite in the last twenty years, to satiate his ego? What is your say? Mob violence in Eritrea which you mentioned, if true, must be an aberration – an exception to the general Eritrean culture of restraint and fairness . Statistically speaking, such type of violence is rare and is counter to the mindset of the God fearing humble people of Eritrea. Even the EPLF is known for its fair treatment of its prisoners of war. kemey…kemey….Things will settle down, ajoKa (ayoKa.) The linguists in the house must tell me the difference. Anyway, it is unfitting for you to tell me that I’m one-sided. Girmay, I wish you would tolerate some fact-based assessments and descriptions of the TPLF leadership and its ganging cadres. It has nothing to do with the people of Tigray, and the people of Tigray’s interest lies with making peace both with their brethren in Ethiopia and with Eritrea to the north. The fact that TPLF has been challenging the federal government and the constitution on multiple fronts is not a secret, some overtly and some covertly. Much could be said here but it will be a repetition of what many have discussed in this forum. The personal aspect of your comment does not merit a reply. Suffice to say that you will need to build your own profile. Hayat Adem built her own and I deal with her on a one-on-one basis. I understand her well. You will need to follow what I write and say to form an opinion about me. I don’t mix subjects, I don’t believe in simplistic postulates, I don’t believe in black and white. The world as I see it is more intricate and tangled, more colorful, and lively. You seem a nice guy with good intention, but when it comes to TPLF you are a bit dishonest. Every time someone criticizes TPLF, you pop up and attack individuals mercilessly. Not an easy task because there is no single ethnic or regional government TPLF hasn’t slept with—with Eritrea against Amahara, with Oromo and Amahara against Eritrea, with Eritrea against Sudan, with Oromo against Amhara, with Uganda against Somalia… I can go on, but the point is supporting or vouching for such cheap flip flopping is the worst hypocrisy. Eritreans failed to resolve their issue because of your type of Langa-langa position. So failing to remove Isaias is my job alone? And you gloat at that failure? It seems you are happy all Eritreans have faile to remove him so far. That shows where you stand. SraH Minewale? You should see me laughing. Would you say, it is a corrupted version of the Italian word “Manuale” for manual? Paul, ስሒቕካ ኣስሒቕካኒ። By the way, I have the impression that ሚነዋለ is mostly related to construction, ረፋዕ (arabic?) to other manual labor. One that looks distant to the original italian word is ብታንቲ for mutande. Who coined this? Those are fun and interesting too where words get deformed for lack of a better word over the years. How about calamadaria for “Camera d’ aria.” The inner plastic tube inside a car or bicycle tyre. ኣንታ ንስኻስ ዘይተምጽኦ የብልካን. You reminded of those bicycle repair shops that existed at every corner of Asmara where the ካላማዳሪያ were engrafted so many times with pieces from worn-out ካላማዳሪያ? Let me give you another, ሽኮሪና for Zuccherina, so close! I think the most popular እንዳ ሽግሌታ was the one right across Foto Lukas or beside Bar Mikeale. Yea those many times over patched up tyres were enduring where it was pricey to buy a new one that is. Not sure if I could say it here but one of the most common lewd remarks in Italian that frequented in Asmara was “Contro muro” which means against the wall but in Italian it has completely different connotation. People I would assume used the phrase without knowing it’s exact meaning. Very interesting. ሎምስ ገለ ከተዛርበና ኢኻ 🙂 ። About the shop, yes I remember around Piassa Mikaele. But frankly even if you tell me there was one around this and that corner, I will say yes. They were everywhere. ሓንቲ ሕክያ ከሕክየካ። ቀደም ብቖልዓይ፡ ኣብ ኣኽርያ፡ ኣደይ ጌሻ ኣቦይ ኣብ ስራሕ፡ ዝሕልወኒ ስለዘይነበረ፡ ምስ ሓፍተይ ቀዳማይ ክፍሊ እንዳ መምህር ሃይለ ትምሃር ዝነበረት፡ ምስኣ ትወስደኒ ነየኣ። መምህር ሃይለ ንዓ ዝወደይ በቲ ኮፍ በል ኢሎም ይቕበሉኒ ነይሮም። ሓንቲ ካብተን መዓልታት ካብ ኢዳ ፍንው ኣቢላትንስ እንዳተሳገርኩ፡ በዚ መጽኡ ዘይበሃል በዓል ብሽግለታ ወዲ ዓዲ ብፋስ ረጊጹኒ፡ ገሊአን ካብ እዘን ኣስናነይ ከይደን። ኣቦይ ንጽባሒቱ እንዳ ሙኒችብዮ ክሊኒክ ወሲዱኒ። ሓኪም ስለዘይጎረፈ ድሓን’ዩ ሓድሽ ስኒ ክቦቕላሉ ኡየን ይብሎ ነቦይ። እንተዘይኮነ ወርቂ ንገብረሉ። ሽዑ ኣነ ብውሽጠይ፡ እንተዘይቦቕላ እብል ነይረ መታን ወርቂ ክግበረለይ። ቤተሰብ በዓል ብሽግለታ ካብ ዓዲ ንፋስ ሕንባሻ ወዲ ሕንባሻ ተሰኪሞም ንቤተሰበይ፡ ንዓይ ካረሜለ ሒዞም ይበጽሑና ነይሮ ኣስናነይ ምውጸአን ክሳብ ዘረጋግጹ። ከም ሽዑ እኳ ካረሜላ ኣይበላዕኩን! That is so funny! 😂😂😂. Thanks for sharing the story. I guess early onset ሕማም መረስዕ ይጀማምረኒ ኣሎ መስለኒ፣ I probably meant to say Piassa Mikaele instead. One of the greatest Italian movies I have seen to date is Vittorio De Sica’s 1948 black and white film titled, “Bicycle Thieves.” It is one of the then Neo-rRealism genre where most of the films back then reflected the traumatic experiences the nations involved went through during and after World War II. The film centers around an employed Italian young father whose bicycle is kept in a pawn shop and when he went to collect it after he found a job, he found the bicycle stolen. More over, the film also shows how bicycle was deeply wired with in the Italian society where we seem to have impacted by it as almost every working class father particularly in Asmara couldn’t live without owning one. I am enjoying the exchange, I had a good laugh too when I read SGJ sraH minewale comment. Paulo and Haile you probably remember Biniam Asmelash who was a cyclist in the 80th with team Adulis I think, along FiTsum Ghilom. He was very small relatively speaking but he knew how to ride his bike like no other. As you remember Zeregabhir Ghebrihiwet who was one of the best riders at the time was with Dahlak. And he use to terrorize everyone with his speed and strength but wedi Asmelash he use to stick with him and would not let him go. His nick name was Mastika but no matter how hard Zereghabir tried to lose him he will never able to and watching those races specially abe enda mariam was a treasure. sometime ago, Saay the great shared a video sponsored by Redbull about this guy cycling in Asmara and to masswa on break less bike google “Asmawa – Patrick Seabase in Eritrea”. In that video he made a visit to one of the cyling shops “Bini” and talks to the owner, who happens to be Biniam Asmelash (you will recognize him) and you will see the young Daniel Teclehaimanot before he become famous kind of looking down and would not believe if this guy is going to go down to Massawa on that light bike with only pedal breaks. I think bar Mikeale was owned by Kahsay Mikiele, who use to be the announcer during the Sunday bike races and we use to roam the neighborhood so we can see the cyclist in the area. I don’t know why it was called Piassa Mikiele? Is this in reference to the bar? Very interesting story. I was not in Asmara at that time. Concerning the bar and piassa, could be, don’t know exactly. Just for precision, photo Lucas is two blocks or so east of that piassa/piazza. Many thanks for the input. I don’t think you would find Asmarino who doesn’t know of Bini and Wedi Ghilom including Shanqo [ሻንቆ.] The latter was the best of his peers but sadly he passed on. RIP. Again thanks for sharing the story. Hi Paulos. Memories man. I use to hang out often at the old man’s ‘Wedi Ghilom’ resterteraunt. He was always proud of his son, who with his other cyclist friends, would come to his old man’s place. I remember the fish sign hanging over the doors but not the numbers beside it. Yea you’re right. Great lived memories keep us alive and sane. I just saw the video. Beautiful! ንስኻትኩም ሻንቆ ወዲ ሻንቆ ዘይፈልጥ Asmarino ኣይኮነን እንዳበልኩም፡ ምንኣስ ምንኣስ መናእስትና እንዳጸዋዕኩም ሰብ ብዘይልቡ ተእርጉ። በሉ በቃ Gejeretino ኴናልኩም ኣለና! ጽገረዳ ጓል ገዛውተይ ኣበይ እንኤኺ? Gejeretino 😂😂😂. እንታይ የእሪጉካ ጋና ጆቫኔቶ እንዲኻ ዘለኻ! Remember, the deal is still on. 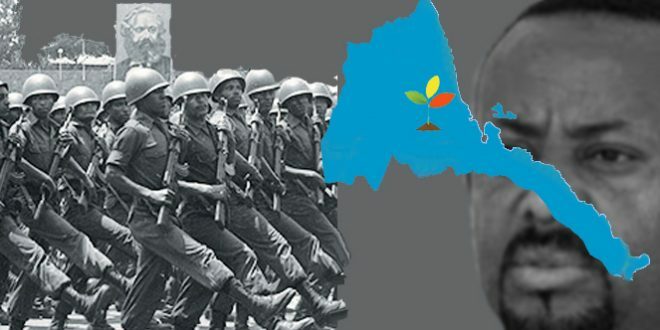 We will kick the steets of Asmara from Medeber to Godaif, Akhria to ቤትምኻእ! Good times are coming! ብሽግለታ ትፈልጠኒ እያ አነዉን ይፈልጣ እየ or something like that.. I think a volume can be written about those great Eritrean cyclists .. I think ሻንቆ didn’t stay that long. I didn’t know if he died in Asmara while he was racing or he left and went to meda. For some reason I thought he went to meda. There are few that passed away…the most notable was Yemane Tekeste who dies in Sudan I think or after racing in Sudan. I knew him and was heart broken. Another great asmarino cyclist that I heard passed away in Asmara when he went visiting for vacation was Kibreab Redi. He use to live someone in Europe. Another one who passed away was Daniel Andom, there is no body like him specially when he was with the young group. Shanqo in fact raced for sometime. I knew his younger brother very well. I think he died in Sudan. True about Yemane as well. Did you mean Wedi Andom እንዳ ሞጎጎ near Bar Torrino? Did you mean to say, Cinema Paradiso? I love foreign films in general and Ialian or French in particular—including Swedish movies [I have seen pretty much all Ingmar Bergman movies.] I have subscription with Netflix. Will give Hulu a try. Thanks. If you like french comedy, I have a suggestion of a Franco-German movie that I laughed a lot when I saw it years back. I apologize first for those who may not take the jokes in there easily (Not worried if you SGJ). I don’t think it is still available at Netflix, but I saw one on Youtube. It is “When Pigs Have Wings”. Google it, read and watch if it attracts you. The language is a mixture of arabic, hebrew and english, but there is english subtitle. Thanks HaileS, it the term was coined in Milan and I will not sleep until I find it. Yea “Cinema Paradiso” is a jewel in the crown for anyone who loves cinema and who grew up watching cinema as well—for some reason the beginning of the film reminds me Cinema Capitol. It is Italian cinema at its best. Not sure if you have seen this particular 2002 Russian movie titled, “The Cuckoo.” It is considered one of the best Russian movies where not only the acting is superb but the plot describes the absurdity of war as well. The setting is in the far end of the Scandinavian countries where around the end of World War II, a woman whose husband had gone to war comes across to a Finish soldier who is a deserter and an escapee Russian soldier where three of them speak completely different languages with no common language what so ever. Each speaks his or her own language assuming that the other two understand it but none does where they respond back in their respective languages based on guessing. That is the genius of the plot. I suspect, Ayay might have seen it for he says, Hulu brings Russian movies as well. Hailat, I don’t think I have seen “When Pigs Have Wings” but will check it out. Thanks. Glad you like it. I myself probably have seen the movie more than a couple of times. It is just a great movie. You’re right, It goes with Kukushka as well where I believe, it is in Russian. the bicycle repair at Piassa Mikiele was enda Yassin chiklista he was known in Asmara in repairing and renting bicycle. berhe kibrab redie was in Holland. kibrab and yemane they had a record in the 80s by travelling 42 km per hour. You’re probably right. It might have been Enda Yassin. Thanks. Thanks for the origin of the corrupted words. After a long time, I found the original for my beloved term “Skunis” which I used so many time but had failed to find the original. I found it a few days ago but now I can’t even remember the spelling. It’s something like Skusigini (?) which was the term used to describe the streetboys on Milan. Can you help find it? Thank you. By the way, I don’t speak Italian. I use multilingual dictionary like wordreference.com to find out what I am looking for. I coul not find ‘Skusigini?’ you are looking for. Could Skunis have something to do with the english word scunner (an irrational dislike, disgust)? NB: now I am wondering if anyone of you knows the origin of Minewale? Try, but if you fail I will explain it for you. yes the origin of the word Scugnizzo is from Napoli, and it describes perfectly the thugs ruling our beloved country now. Minewale, i think comes from the italian word “Manovale”, but i might be wrong. I think minewale is the corrupted version of the italian word “Manovale” which means the hand doing labor indicating someone doing the hard labor. I think you’re right. It makes sense. Thank you. Hi All; I don’t know about you but I can’t disagree more with decision of Ethiopian parliament. This is wrong and unfair to the Ethiopians. Ethiopia is the youngest nation I know of ” 65% under 24″ if I have to guess, I will say 60% unemployment? then instead of taken care of your citizens; you add more pressure to the deep pressure of the youth. A nation must make her citizens the most priority. I have disagreed when TPLF was given education to Eritrean refugee; I have disagreed when the Ethiopian airlines showed off with only china’s crew. Now this? This probably done to attract and favor the Eritreans but Ethiopia’s obligation is to her own citizens not others. irresponsible decision. 2) This proclamation will open the door for more international financial credit; will increase tax base; will give people better opportunities to do more and better with their time. Hey MEZ; 1) because in Ethiopia Ethiopians should come first. not Eritrean, not Somali and not South Sudanese and responsible government and Parlama makes their people first and foremost. 2) I think you are mixing Ethiopia with the United states of America. what kind of financial credit would you expect from Eritrean, Somali and South Sudan refugees? Ethiopia is suffering from unemployed youth and the last thing you need is cut that resources deeper? So, I am talking about Ethiopia not USA. The brave General; the credit sources are international financial institutions. Those who succeed, are less likely to bother pia. It is a win-win. My understanding is the Ethiopians also will benefit from it. Hey MEZ; the only benefit Ethiopia will get out of this is the payment from EU. The EU wanted Ethiopia to open up so that the refugee won’t advance in to European countries. I understand the government will get some money but it the money at the expense of the Ethiopian citizens. Again in Ethiopia, Ethiopian should come first and they should be rewarded with everything the country has to offer. Not the run away Eritrean or Somalian. No! Financial incentive? Remittance my friend. A lot of Eritrean refugees are getting money from family members abroad to spend the money in Ethiopia for living expenses and start small businesses in Ethiopia. This is just a simple example. Mez is an Economist and knows what the heck he is talking about. -The TPLF succeeded in building quite a few Industrial Parks through the help of the creditors Mez is talking about. -Even much better and lucrative one is that Ethiopia was AWARDED with / won a free and lucrative donation of $450 milllion in the name creating jobs for the Eri Regugees so as to minimize the Eri Refugee influx to Europe-the worst Hypocrisy in the world I heard about/of,in a sense that the EU should have given at least half of that money to Eritrea so that Eritrea can handle or control the Eri Refugee influx to Europe thereby to mimize the Refugee influx and Uncontrollable Exodus to Europe. -To furrher weaken Eritrea by draining its productive force but to keep this FORCE at bay far away from Europe through its lucrative Aid to Ethiopia by creating jobs for Eritreans! Sounds dumb but it is a well orchestrated and designed agenda and a Lethal Weapon to destroy Eritrea ! BUT the only “dumb” thing they did was that they “ forgot” that they were dealing with a much SMARTER DEVIL “,who remained deeply engaged in the details! It is an AMAZING game well played by the same SMART “ Devil”! As you eloquently argued ,the “crookedly” SMART PIA has played it well and rather DESTROYED his enemies with a silent but lethal Laser Therapy and has come out as a SOLO WINNER and has stood FIRM and TALLER with his two legs! It is a BITTER TRUTH /PILL the deniers and naysayers as well as our enemies should swallow or have to DEAL WITH IT! Hence,now that we are in a safer and stronger position,we should be READY to take the LEAD and the Driver’s SEAT in UNISON to reclaim what belongs to us and to compensate for the lost opportunities! ERITREANISM at its BEST and at its SMARTEST MOMENT….. EVER! Yep …Tihim Zibeles Yittahggom Ghiddi! Weren’t Eritrea and we Eritreans deemed or predestined to fail,to collapse overnight and even to be wiped out from the world map thru and in the minds,words and evil agenda and acts of our enemies? Nop…. they were DEAD WRONG ! They forgot the Eritrean history ,that those,who had and have dreamt and attempted to kill Eritrea and Eritreans were /are already DEAD and are dying and for sure will die if they reattempt ( again). Kalsina Newih eqqua intekhone AWETNA ghin nai GHIDDIN EYYU! Empty hands can’t extend aid to others. Who failed his siblings will not be for others. We passed the time of ኣማዉቱና to ያከሪም (ማርያም ተሃብኩም) በሉ ሞሳና zone. It is a huge asset for Ethiopia where Eritreans are industrious with enterpreunal spirit. Again, they are an asset not a burden. Hey P; I understand that but Ethiopia ought to give her citizens all the resources they can get. I know Eritreans are industrious but there are Somalis refugees; there are south Sudan refugees and the number goes…. When one Eritrean, Somalian or South Sudanese take a chair at educational institution that comes at the cost of one Ethiopian citizen. A nation has to take care her citizens. it is not fair. Well, I say, we are asking the wrong questions. The question should be—why are Eritreans leaving Eritrea in droves? First and foremost, Abiy should see into this question not as a contemplative or as an intellectual exercise but as much as he is in bromance with Isaias, he should man up and confront Isaias head-on. If the reason given by Isaias is the pull factor to better themselves any where but in Eritrea, Isaias should find ways to create jobs for his people particularly the young. Micro-financing and government driven economic stimulus, for instance. If the reason is political, he should call for reform as in implementing political institutions, civil liberties including freedom of speech, worship, movement and bring back the national service to its intended period of time. It is as simple as that if there is the political will to take on the challenge. Mr Nitricc …. Hope you are doing well wherever you are. Are you really an Eritrean? LOL…. I doubt it. I have seen so many Eritreans in Addis recently. They look comfortable and well integrated. I’m also quiet happy to notice that the locals don’t give a rat about whether they are Eritreans or not – they get treated equally. Somalis are also settling well too. Faces from yemen and Syria are appearing and becoming familiar. That poor country is handling it all as it comes. I’m proud to be born and breed in Addis – Ye Arada Lij Mehon KoraHubet !! Ethiopian Airlines, F.Y.I. , about ~ 5,000 Chinese passengers use the airline’s flight services on a daily basis – go figure that my dear. P.S. Haven’t you seen those Eritreans who are working for Ethiopian Airlines travelling to Eritrea after 20 years…..I bet, if you were at airport, you would shoot them on the spot. Selam Ato, this dumb guy with the nick name Nitricc is NOT an Eritrean. All that he does is shame Eritreans for whatever stupid reason he presents. He is well known here for blaming Eritreans who perished in Lampedusa and elsewhere, saying that it was their fault to run away from the DIA hellish rule; gloating that they should have fought the regime instead. Mind you this loser guy doesn’t even have the gut to set foot in Eritrea let alone to fight against a dictatorship. What surprises me very often is that internet trolls like this idiot pretending to be Eritreans; why would they really pretend to be Eritreans when they are in fact evil people full of hate to their neck towards Eritreans? I have seen him defend the Ethiopian people on several occasions, nothing wrong with that, but if he is an Eritrean as he claims to be, I’ve never seen him defend Eritreans. He throws one or two lame sentences about the need for the release of the G15 now and then, but beyond that, never defending the ordinary Eritreans who’ve been bearing the brunt of the regime that he supports. agree with u expect, according to the law those working for ethiopian airlines r not eritreans , they r ethiopia with eritrean ancestors. a lot of african countries like uganda, s africa and so on, do have same kind of refugee policy, some of them even give citizenship for refugees after they stay in the country for a few years. and they don’t keep refugees in a camps unless it is mass migration. I would appreciate it if you can tell me which African countries give citizenship to refugees? I know 1 ethiopian have citizenship of Namibia and i know Ghana will give citizenship for refugees, and 2 month ago ethiopia give citizenship for 80 ras teferi Jamaicans living in shashmena. ነዊሕ ኮይኑ ኣብ ባይቶ ዓዋተ ካብ ዘይነምብበኪ፣ ርሑስ ሓድሽ ዓመት! Chad, Lesotho, and Tanzania give outright citizenship to babies born in their countries regardless of their parents’ citizenship. Cape Verde, South Africa, Namibia, and São Tomé and Príncipe give citizenship to children born from long legal residents of the parents. In South Africa, you need five years to be legal resident and another fiver years to be a citizen after you are granted refugee status. Tanzania does give citizenship to long term refugees from Rwanda, Burundi, and Somalia. Senegal has some provisions for refugees from neighboring countries to obtain citizenship. I hope you find this information helpful. The problem with African countries is that the laws are sometimes, labile! Just wondering how you end up where you are? Are you not the beneficiary of an immigration policy of the country that you are residing? In any case, this is great news for the many refugees, especially Eritreans, that are languishing in refugee camps. Legal residence, education, and employment, mainly self, are very important elements for they will make a significant change in the lives of those refugees. I am not worried about Ethiopia for it has a large, a fertile, and an unoccupied land to accommodate not only few thousand refugees, but also the whole population of Eritrea. Although this policy of accommodating refugees to have a better life has some pressure from the European Union to abate the flow of refugees from Ethiopia, it also goes with Dr. PMAA’s principle of Medemer. Therefore, instead of blaming the Ethiopian Government for this internationally sanctioned move of humane action, you should blame our DIA for his miserable and inhumane policy for the last 27 years. Kudos for the Ethiopian Parliament and for the people of Ethiopia for your welcome attitude towards refugees, especially Eritreans. I thank you for capturing the horror of war, from your narrow perspective. However, even that narrow window is enough to alert people to think twice before beating the drums of war. I understand it is a product of a mindset that has reigned the minds of TPLF cadres and functionaries who could not see Ethiopia standing without them being at the helm of power. I think the Federal government and the adjacent regions to Tigray have indeed been very patient with the chest beatings coming from Tigray. Soon the elites of Tigray will have to choose whether they are comfortable to live as equal partners in Ethiopia or use article 39 to bail out. Ethiopia is currently facing unprecedented challenges, and TPLF has not been helpful at all. So, please be fair and give the federal government credit for ebing patient with all belligerent sides including with TPLF which is protecting wanted individuals. Interestingly, the Tigray government is accusing Dr. Abiy Ahmed’s administration for not safeguarding the constitution while it is breaking the constitution. Additionally, you failed to capture the sad realities that thousands of Eritrean children had to go through, without one or both parents, because of the war. As far as I’m considered, I feel sorry for growing without the presence of your father in your life. But I must tell you the bitter truth: as far as most Eritreans are concerned, your father died on the wrong side of the war. Another point: still you call us “rebels”, that is OK. the third point, concerning the alleged extraction of gold teeth from Ethiopian deportees, I could comfortably say that Eritreans protected your mom and her group from possible danger. I was there, I know the situation and you are wrong about the whole package. Remember, those were families of an army that had brutalized Eritrea for thirty years. Get that. I don’t need to list the atrocities here. You said GOLD extraction. I could say a lot about this horrible action which had been committed by the likes of your father on innocent people, I don’t want to bore readers for it is a well documented action perpetrated by the like of your father. Sorry, I have to tell you that. It’s painful to read an unapologetic ranting which tries to whitewash the atrocities the like of your father committed in Eritrea. There might have been isolated incidents that I was not aware of. However, generally, the families were eager to leave Eritrea and all that the Eritrean freedom fighters did was to arrange the transportation. I was among the first who entered Asmara through the Southern outskirts and we advanced all the way to Forto, after clearing out Gagnew. I saw the faces of the fearful families of the defeated Ethiopian soldiers. I also know we were reassuring them; we were protecting them from any possibilities of activities of revenge and mob-shaming. My experience tells me I should not expect much of a fair narration from people like you. ShaleQa Dawit even proposed for the erection of a manument for the dead Ethiopian soldiers in Eritrea; General Kasa Chemeda, a man who had been beaten so many times, and a man who razed the village of Sheib, has now surfaced to tell us Ethiopia lost the war because he and many of his peers were imprisoned. He was imprisoned in 1989, but, in 1989, the war had moved from the borders of Sudan to the environs of Keren. Why? Because we were defeating the likes of General Kasa Chemeda. Anyway, Ethiopian soldiers were brave warriors. But they were pushed from behind to a war they were not quite sure was just. So, I have sympathy for the poor soldiers, but I don’t have any sympathy for a writer who tries to justify the death of his father while not saying a thing to victims who might have been hurt by his father’s action or the war in which his father died. All in all, thanks for the contribution but come prepared next time to engage readers. I just finished seeing 3A meeting with ethiopian diplomats and learned two important information. 1, the unrest, the conflict, the displacement will continue atleast for one more years, which means the abi,the horizon(social media dogs) , will be in thier jobs for the coming atleast1 year and 1 for 5 organization, in side kilil milisai and inside the military will continue doing the unrest for the coming atleast one more year. I know, aman h is nothing but tplf foot soldier. brhan, never paid attention to him until recently. Readers , The Ethiopians who were in Eritrea in 1991 were almost all criminals ( except Tigrians who were equally precauted and killed by the writer father ) , his father who killed our people like rabbits, the writer father and his colleagues who were in Eritrea were not deported, they were given their life unless All supposed to be killed or hanged to die , the fact that this trashy ወዲ ኣምሓራይ try to blame EPLF fighters is not new but the access he got in this website is simply beyond guess . Why would a person who was not even in the act of try to paint criminals as saints ? Dergi soldiers should have been sucked to death just a pay back for the crime they committed over our people. if the writer was infact fair he should know his father was feeding him from our miserable life under Dergi , if the writer know or cared to know he was well feed for the sake of our dying people , if the guy was fair he should have said more about the act these soliders committed over our people . The EPLF soldiers have a very good track record about the handling of Ethiopian soldiers , The lies he tried to sale about Ethiopian gold put in to their teeth amusing , He wanted to cover his fathers crime by creating more heinous lies . EPLF fighter may committed soft mistakes but to take gold plated teeth ? What kind of evil people are these Ethiopians grown in Eritrea ? Such evil lies should never posted in awatecom but what do you expect ? None . This post is full of lies over lies . When you point with one finger do not forget three fingers are pointing at you….meaning you are the only one who hates ….can we comment now without hate? Your comments are not questions but appear as questioning. Therefore, you do not encourage me to answer. On Amnesty/Reconciliation, I have written extensively for over two decades. Nothing has changed in my views, So, I refer you to the archives because there is no point in repeating the same reply everytime someone fancies question time. My apologies. Slowly but surely, people from the PFDJ camp, are waking up from the long slumber and are raising their voices to hold the regime accountable where a certain lady [I believe her name is Almaz] from Europe is openly challenging the regime to implement the Constitution, demarcate the border and release political prisoners as well. This is truly commendable to say the least. Meskerem to its credit is turning around and giving a platform to the said lady and others with the same wavelength. In light of the encouraging development, Assenna is reporting that, its sources in Asmara are saying that the regime is making preparations to release political prisoners including high government officials as in G-15. 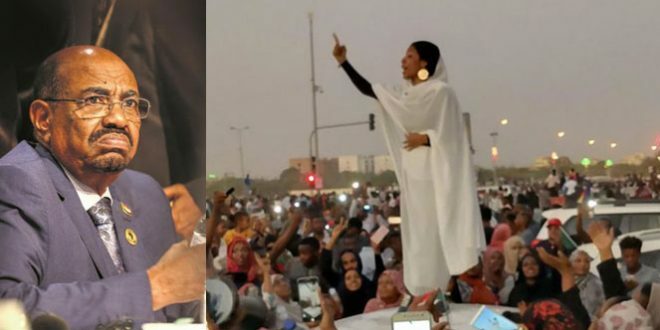 If the latter in fact holds water, either the regime is responding to the mounting pressure from its diaspora constituents or maybe following Abiy’s reform initiatives. Either way, I say, it is a welcome development. What say you my good people? There will be no peace in Eritrea without giving justice to the victims of the regime. There is no reconciliation without justice. Justice and reconciliation are two inseparable virtues. To suggest otherwise, it in itself is a bad precedence to build “justice and fairness” for future generations. Certainly people are hurt. Emotions are scarred and wounded. In these rather difficult times, it behooves us to make difficult choices as well. The choices we make should be forward looking than dwelling on the past, simply because the past is merciless so much so that it will be stubborn enough to arrest us at the expense of the future, a future we owe so much to the younger generation. Suppose, we bring Isaias and his cronies to the court of law, in a country where there are no institutions much less a court of law where it will be not only inefficient but ugly as well when Isaias makes a case where he says he had to do what he had to do to safeguard the nation in a time when the nation was under siege by the powers who were determined to reverse our independence. The point is not whether he has a case or not for his case is a matter of consensus. And we should remember that, a huge chunk of the population take Isaias’ defence or case as an article of faith. “If a crime is committed for the preservation of a nation,” Machiavelli said, “it is a glorious crime.” Isaias’ base can lend intellectual credence to his case. With in the stand-off between the justice seekers and the defendant, however, there is precedented way out—national reconciliation rooted in good faith. The alternative is a road more taken where history tends not to favour for it claims lives in the name of vengeance. We can not tell the victims “reconciliation without justice”. Absolutely not. Who are we to tell them that there is only reconciliation without justice. If it comes from the victim families, I don’t have objections. For those who are fighting tooth and nail against this regime, we only fight for justice as justice seekers. Otherwise the phrase “justice seekers” does not belong to us. In principle, We seek justice as justice seekers. 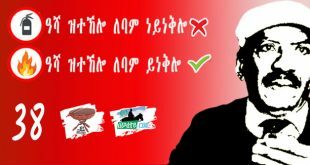 I know many Organization use it as platitude to garner public support until the Eritrean politics change to their favor. I abhor this unprincipled stand. You can not be “justice seekers” if you are for reconciliation without justice, as simple as that. There is no excuses in seeking justice. Because of the unknown eventualities, we can not escape from giving justice to the victims. Are reconciliation and justice mutually exclusive? Does reconciliation exclude justice? Emma, are you asking justice first followed by reconciliation? Paul, are you excluding justice when you say reconciliation? Yes exactly. Justice first, followed by reconciliation. Then and only then a true reconciliation can be observed. Reconciliation without justice is simply farce. How is the justice going to be implemented? In order for justice to be implemented, shouldn’t the protagonists have some kind of coming together to discuss on how to implement justice and reconciliation? One group of the protagonists is at the helm of power, the silent justice seeker at home, the vocal one abroad. How do you bring these together? Isn’t this whole package be considered a reconciliation? Or is the question in naming the process, for example “Justice and reconciliation” to highlight the need of justice? Does calling it like that guarantee that there will be culpables certainly going to prison or more? Does this exclude pardoning? Or is the culpable is already designated. Just remains naming the tribunal and bring together the supporters of one and the other for reconciliation thereafter. How does one make sure that is what the population of supporters of one and the other want? How could you categorized the “victim” and the “victimizer” as protagonists? I don’t understand that. If you consider them as protagonists, how do we expect the victim and the victimizer to discuss on how to implement justice? Never heard. In my view the arbitrators are the “Eritrean people” who could explore how to implement justice. Us as debaters could only demand justice. If you are asking me my view as to how the process should go forward for the observation of justice, I could say few thing, but it is better to be done collectively either through the formation of tribunals or other means from the Eritrean people, and not from those you call them protagonists. I am not going to fight with you on the jargons. Protagonists for me are two groups, the one who will say there are no victimizer or we are not, and those who will say we are victims. You said “…. how do we expect the victim and the victimizer to discuss on how to implement justice”. This sentence of yours could be confusing in that a victimizer cannot implement justice. All these questionings in terminology demonstrate the need for talk of all parties in order to find a solution to avoid going back to persistent accusations, thus reconciliation. Let as keep aside for a moment the “general oppression” of the Eritrean people by the regime and focus on the victims to simplify our debate. Let me categorize them as the “regime” and the “victims of the regime”. Now, we have victim families whose love ones are killed and disappeared. There are many victims handicapped from the cruel beating in the prison cells of the regime. There are orphans who lost their parents in the prisons of the regime. All has never seen a court of justice to defend themselves,On the other hand we have the victimizer the Eritrean regime. There is also the third party “the Eritrean people” who could witness that crimes were and are committed. In such scenario, the third party (the Eritrean people) will see the case by forming tribunals to find a closure for the pains of the victims by giving Justice to the “victims” and the “perpetrators.” The reconciliation is not between the victim and the victimizer. We need reconciliation to bridge the divided society that was caused by the two fronts during the liberation era along those common societal faults. That is my take in nutshell. Now, your turn. I agree with how you put it now, in general, but there is blending between categories complicating the divisions. As Paul put it “no amount of justice can be served to redeem (the wronged) the wrongs that had been committed by the regime”. You know that such justice seeking reconciliation usually boils down to proving who were the victimizers, how many, what were their crimes etc and it will not be easy. If Eritrea arrives at punishing symbolically the prominent and arrive at a large reconciliation, it will be ideal. It is a difficult question simply because no amount of justice can be served to redeem the wrongs that had been committed by the regime. And it is precisely the reason that we need a high moral ground to see justice with in the context of reconciliation. You and Ustaz Hidrat are correct. Both of you are to settle the dust and make our people inhale fresh air. Though both opinions are perfect, but they face a problem to be a solution. Here, I propose to seek for alternative arrangements, I mean, to make the two opinions open-ended to meet at the end of the day the required settlements. THERE IS ALWAYS A BETTER WAY TO EXECUTE THE JOB. The challenges ahead are enormous where they are not lost to the particularly esteemed participants in this Forum as in Amanuel Hidrat, Ismail AA, Saleh Johar among others who know not only the precarious history of Eritrea but their formative years were shaped up when they walked through it as well. As such I am not in any position to lecture them if you will on how to face the years ahead either Isaias with in the equation or with out. That said, the challenges find its roots with in the historiography of Eritrea where it was united in a noble cause but seperated in the essences of faith or confession, tradition and culture where the High-Land and Low-Land divide is striking. As such, the divide can only be cemented through reconciliation and a common cause or some sort of forward looking convent that can heal wounds and amend bridges. we are enjoying watching begging ,seeking for help from the same people you have stole ,disrespected ,tarnished history sided with all western to put an end of Eritrea . ኣታ ሰብኣይ ጥዕና የብልካን መስለኒ ስቕኢልካ ሃለውለው ኣይትበል! Dr Paulos is NOT talking about Ethio-Eritrea union or Eri-Tigrai union but Reconcilliation within Eritrea and among Eritreans! What if Reconciliation with Tigreyans for that matter,which is a past due necessity? Fortunately,once PIA orders the Eri-Tigreyan Reconciliation,u will jump and celebrate it and can’t wait to enjoy your celebration . “ We are one people ,who ever believes otherwise is naive or ignorant”! “ There is no need of borders between Ethiopia and Eritrea(coz “we are ONE people”)! anyway do you have any problem with the Eritrean people ? 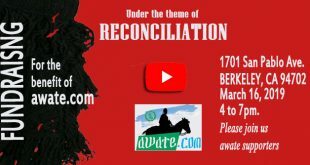 about what reconciliation are you talking about ? the people in Eritrea have not problem at all between them ,life was hard to everyone and the high ranking did not profit anything they are poor as the people ,even Ethiopian were impressed by the simplicity of the high ranking and even the president . not like tplf looting every one even its own people . those abroad majority support their country ,those confuse should reconcile with themselves even if its too hard ,lying has become an addiction for them ,and its hard to cure from this behavior ,how do you reconcile when you did everything you could to dismember the country ,when you invite foreigner to intervene by economic sanction arm embargo on their behalf .and everything and deny openly that the sanction never hurt the people it show how evil they are without any feeling for anyone . any way its better to stay like that ,they have already tested foreign money so Eritrea is too poor to afford very well paid so called woyane braid politician. We are tired of killings , avenging this and that shouldn’t be the priority , why do you want to put Eritrea in to a vicious cycle of revenge ? Let’s remember the man is still in control and what ever change wether to punish him or leave him to rott I think shouldn’t be the priority. Our priority should be to see his removal ,if infact his base removed him from power we all should celebrate. These who seek change in Eritrea shouldn’t make a revenge game because that game can sink your life long struggle against the man . So , be careful what you wish for . Justice must be served ? Come on , I would be more than happy if he escaped to Saudi or UAE and leave our people to rule their country as they see it fit . 1. It’s nice to know you are tired of killing. I wish you feel the same when you are agitating to keep the Tigray-Eritrea feud alive. 2. Demanding justice is not revenge. I am sorry you think that way. u r a champion and a good example of the saying(proverb) that say ” lebi tigrai………….”. last time i checked, u were for building wall and now this. There is no way u can flip flop like this with a normal heart. and don’t forget ur “tilehoo” retirement plan for aboy sebehat. You know for a fact I am extremely happy TPLF is thrown out from 4 kilo. Pls tell me where is my flip flop ? I support Abiy because he took very good reform and still he is doing . Who can hate a leader who erased prison in Ethiopia, I don’t. Remember I was one of the first in this forum who supported the demonstration in Ethiopia. r u extremely happy tplf is thrown out to garbage? U know why i used the word “champion”? Far from it. I am not talking about anything unclear. You have to come a long way before you present yourself as a peaceful person. Peace, according to my understanding, is not selective. You have to be consistent. That is all I am saying. HaileS has explained it succinctly in a question form. Justice and reconciliation are not mutually exclusive. One is not worth pursuing without the other. would you stand infront of a court for lobbying and supporting all the sanction imposed upon us and the misery that brought peoples to leave their country to drown unto the sea ? would you stand infront of a court for some allegation you have committed on Eritrean based on their face long time ago ? isnt that hypocrisy to attack those great men who lost their youth and enjoyment in the field for the sake of this nation while you were feeling your belly abroad .its very funny when you hear people that allow themselve to be a western tools to destabilize Eritrea with your bias fake news ,do you have any morale even to speak about the very name of Eritrea let alone to judge or what so ever ?? all this to get power by misleading the people ,the thing you dont understand pfdj breath trough the people ,they are one ,if it was not the war ,the sanction ,the political isolation ,the western propaganda war ,the opposition deliberate misinformation ,the woyane pression ,economic situation with hostile internal ,external activity ,pfdj would have collapsed long time ago ,instead of seeking alternative approach you keep singing the some song when pfdj is at the pic of it power now ,you must be delusional ,have a good one. Indeed Natom, I will stand in front of any court of law. In fact, that is why I struggle: so that we can have proper courts that can look into everything that has been committed against Eritreans. Now for the gist, I usually do not reply to wanton accusations that you created in your mind. And I will not entertain your claim because 1) you are an individual and know your limit, 2) you are the attorney general of nothing, better recognize that (courts have norms and learn the norms not witch-hunting and pretending the courts are your playground. 3) you know nothing of my belly, it’s cheap pronouncement and does not qualify for a debate, 4) Good of you to have learned “Fake News” from Trump who doesn’t recognize any news at all if it doesn’t serve him. 5) Stop acting as if Eritrea is your private property, it belongs to all its citizens. 6) I and many like me were pushed out by Haile Selassie, Derg, and PFDJ–we are victims and didn’t come to the place where we seek asylum as tourists. 7) This forum is for debating with civility–do that and you will have a chance to teach and learn …. and to dialogue with your fellow citizens, always recognize you do not have extra privileges on nationality compared to other citizens. Let’s keep it clearn and respectful, no crossing lines, please. well TRUMP was right ,no one gave him chance to win everyone was mocking him and the media all of them were attacking him. media as many here think are not free at all ,they answer to their donors so they fabricate fault new to tarnish people ,to destroy life ,they will never accept anything positive at all just lying day in day out, they are a propaganda machine just like AWATE get his school from the endowment for democracy a CIA agency that work for regime change ,spread fault assumption ,allegation fake news . I think you are a good gambler and dreamer ,you created this enemy in your mind because the other refused to accept your dangerous ideology of division and religion that has destroyed many country we witness now in the name of freedom . you have to understand here pfdj or not no amount of propaganda or lies will realize your dream ,even the west with all their might will not do anything and if they try then fire for fire we will burn all together then maybe you can rule an empty country . Most institutions, whether you like them or not, do not operate like the PFDJ in total secrecy. You can incubate an idea in your mind, but awate.com has not received any funds from any outside sources. Simply because you claim something it doesn’t turn to be true. have some self-respect and don’t claim stuff you cannot prove or substantiate. Here is your challenge: prove your claim and hold your peace. Please stop your wild allegations before you lose the tiny respect I have for you. 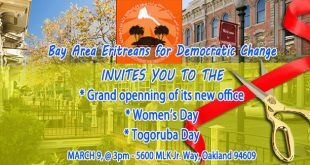 (most institution do not operate like pfdj in total secrecy )you like it or not secrecy is pfdj strength ,keeping our enemy his blind has exposed many self anointed professor on ERITREA by fabricating lies for something they dont know for sure instead of shutting their mouth , by the way what is the secret you want to know thank to (tonqolti ) opposition ,I thought we know everything . as if because your claim make exactly true when asked question you threaten me to disrespect or banish me ,what a wonderful defender of democracy you are ,I can see already the splendor of ERITREA wealth ,freedom ,free of control from super power under your rule really ,you dont fool no one here ,you are thirst for blood ,because you have an Identity problem flip floping in all side couldnt found a middle ground and you want to bring your sickness in the heart of our people even by pleading allegiance to the devil it s unbelievable ,but thank God the devil is dying ,he get his own poison of division ,he brought hatred upon his own people ,no one can save him ,he will suffer ,this is the outcome of arrogance and thinking they are better ,they forget Eritrean and their own people capability ,you are just like them ,you will keep singing your empty knowledge on Eritrea that no one believe ,that is the freedom you will have to the end enjoy it .you can banish me if you want ,that is the little power you can get I guess . Now, I have been very respectful to you because it is not my nature to be rude. But that doesn’t mean I do not have a rude hat that I can put on when I deem it necessary. So, kindly don’t take me for granted. I also kindly ask you to reciprocate and debate with me respectfully as I communicate with you respectfully. That is, if you have anything to ask me, go ahead and I promise to reply. If you want to challenge my views, that is why I am here and I promise to engage you. But stop your insults, please. You cannot abuse your host, it’s despicable. Treat others the way they treat you–it’s a sign of civility and maturity. I have also heard rumour that change is coming very soon, even some die hard PFDJ members saying IA will be removed. However, my experience tells me that it is most probably a time buying 03 work. I hope I am wrong. If it is same ‘ol same ‘ol platitude as in to buy time, what is it the regime would want to buy time for? To create another bogeyman? There are no more bogeymen for the sanctions are lifted and the Weyanes are defeated. If the revolt is coming from its base as it seems to be the case, the final fate of of Mussolini is a possibility where it was his base that hung him upside down when they realised that he was a cheat all along. As you said his base are asking questions and he had to give them something to keep them on board until he creates another problem to captivate them in. Have you heard “shake them” a phrase coined by the greatest professor of dictatorship name Muammar Al Gathafi? Hi Amanuel; this is it. PIA has arrived at his final destination. Sanction lifted; war clouds cleared; national security intact. Now; what is left is to do the right thing and go back to nations political business. the end of Eritrea’s misery is upon us. Eritreans didn’t give up on the despot yet. They have endless dream of goodwill from the despot. They still expect him that one day, the despot will be merciful to release prisoners, especially the G-15. Most G-15 by now, are expired or deceased in the underground prisons of the regime. Second, Issayas know vet well, that he is cruel inhumane individual he is, and that he stayed in power by liquidating his adversaries. He also know once he loosened his grip, it is the end of him and his regime. Why would he commit suicide at this junction, when Abiy and the international communities gave him the breathing room, to do for what he is good, to destabilize the region and expand his power. There is one hope, and that is, if the interest of “daddy-son-ego” of the two leaders collided at one point. Sooner or later for sure it will. this led to his erroneous generalisation by equating the treatments of Ethiopians at the time with the deportation of Eritreans from Ethiopia. author has been carried away with the typical Ethio’s victims mind: comparing apples with arranges. The author has also failed to mention the crimes committed by the sons of the Derge soldiers on the native Asmarinos. The lynching was carried during board daylight and I was a living witness. I have never forgotten the son of General— Abiy (Forget his name) who literally beating people with burbs-wire outside a school in front of school governors. In effect, there were two laws— one for the Ethiopian armies and the other for residents of Asmara. What is the broader message of the author, though? requires courage and boldness to acknowledge and confront the past with honest. The author did not show either of them. The perpetrators could move on, but the victims will not have closure until someone feels their pain. I guess the author was not honest with his narratives. In general, there is no culture of mob type of violence in Eritrea; ordinary people are humane and God fearing. Inter ethnic mob violence in Ethiopia is rife, and the Oromo and some in the South specialise in that, with the Amhara catching up fast. The problem is that the person is not telling the truth. I stopped reading when I read that he was nicknamed in Asmara as “adgi”. Anyone who knows the Asmara of that period, a time when Ethiopian soldiers were garroting Eritreans at the slightest pretext, would know what a ridiculous lie that is. That anyone would dare use that epithet to a son of Tor Serawit, a person whose father died at the hands of the Eritrean freedom fighters, a person who must have been seething with hatred of Eritreans, can only be an utter lie. In my view, this character is a typical Tigrayan, who these days are clueless and scared out of their wits, who think such juvenile tricks may get them out of t heir quagmire. Teka, you are not a poor writer, you are a poor lier.! Dear Forumers, so the Ethiopian PM said “one country, two states” as regards the relationship between his country Ethiopia and our country Eritrea. I don’t remember of any popular vote in neither Eritrea nor Ethiopia about how thier relationship should be-this issue is, in my opinion, the sovereign right of both peoples to decide on. So, who gave PM Abiy the right to speak of such a grand issue on behalf of both peoples? Isn’t he transgressing the sovereign right of both peoples with such a comment? We have also seen some comments that the Ethiopian PM said nothing has been signed so far between the two governments; well how about the signing of certain documents in Asmara, Jeddah, and Gonder on several occasions? Where they just pretending as if they were signing something? Is the Ethiopian parliament, the house of representatives, playing its role of checks and balances towards the Ethiopian PM? Doesn’t the parliament have a control committee that could bring questions and investigations as regards the PM’s dealings with other governments? According to the Ethiopian Constitution, supreme power is held by the house of representatives, and almost anything the PM proposes is subject to scrutiny and approval by the House; let alone issues of such magnitude. So, under such situations of unclarity regarding the deals being signed with Eritrea, and Somalia, can’t the Ethiopian parliament demand a full disclosure from the prime minister that puts all the facts on the table about the content of the deals? Drawing from his experience of the brutality of war between the EPLF and the Derg, the author advocates peace, reconciliation, mutual respect, brotherhood and unity. In particular, he warns us, the common people, to be wary of those who fan the flames of conflict behind the scenes but are never in the front lines. I agree. And all the props to the champ Saleh Johar for putting aside wounded emotions and allowing in good faith the article to be published. Don’t want to make a big meal out this but rules must be respected and observed by the makers more than others. I think, Tekish message of peace is directed to Amaras and Tigraians. He tells them they are brothers and should love each other. The war he has seen in Eritrea is disastrous, he reminds them. He is very worried about the disintegration of Ethiopia into small cantons. Regarding Eritrea, he didn’t pass beyond rebels, good friends, his mother hate of eplf and confiscation of evicted Ethiopians. Do you believe an Eritrean fight for his independent and finally landed in prison without any due court process for life and his people that he fight for them said nothing? That is a question does not have an answer? I have served as teacher of TEGADELTI in 1991. Some fighters I have meet there hints me to believe what he said in some extent. After all a solider of every country have some similar behavior. specially those who were rounding eritreans from their homes and harass women/girls and young boys, but people quickly got relived from fear and anxiety with the advent of Tegadelti in the city… and of course euphoria of independence. infact , i used to hear from elders that how we eritreans are quickly forgetful what was happening in the 80th and before. what makes this article worth reading is the writer’s appeal for PEACE. I think he sounds very genuine to see a united people who live in harmony and peace. that is a legitimate wish. I am with him in this. I agree and understand all people from both side have suffered a lot. The trauma they have endured was immense and it may take generation to get healed. My heart bleeds for the vulnerable part the society: children, women, elderly. My hope is that there will be stability in the region with political, economic and trade collaboration. This generation, from both side, have to work to that end, no matter what the political intent of those in power. Having said that, the article seems very skewed. It lucks objective truth. The writer was far away when things happened when the war ended. so most of his data are what others have told him. For that reason, the article lacks credibility. War is a vicious game. innocent people get hurt and could be treated inhumanly. that is a nature of war. what we need to understand and hold on is the historical truth of both countries, not the situational truth. we have to stick to our histories and hold them close to our heart. otherwise, we will be doomed to repeat them. let us all work for peace and harmony by accepting each other and honoring out diversity. Let us remember life is short!! In any case, the article pertains more to Ethiopians, in particular Amhara people. Unless and until they stop their superiority complex and forcefully making Ethiopia united, Ethiopia and Eritrea will never have peace. Let the people choose. Make genuinely autonomous regions or nations, whatever the case. Work with Eritrea genuinely to access the Red Sea and not by claiming your border extends all the way to Massawa. Stop your atrocities and conspiracies against the Tigrayan people. That is where things should start, from the bottom up. If there will be war in ethiopia and eritrea, it will be a war between amara and tigrai, tigrai and eritrea, and civil war within different ethiopia communities. There will never be a war between ethiopia and eritrea. Selam Teodros Alem, I did not say there will be a war between ethiopia and eritrea. I said Ethiopia and Eritrea will never have peace but you twisted my words and implied as if I said there will be an imminent war between eritrea and ethiopia. The two sentences do not necessarily mean the same thing. When I write, I am very deliberate. Don’t twist my words. To elaborate, what I am saying is that unless everyone learns humility (timkihti keyekteme), we will never have peace in the region. If Amhara and Tigrai are immersed in an all out war, you bet Eritrea will be dragged into it and vice versa. Read carefully. Saleh Johar – I noted that you liked TA’s comment. Good, I have no issue with that but does that mean that you agree with him there will never be a war between ethiopia and eritrea? Who guaranteed that for us? I mean I am saying afkum yisar but to say never is a little over the top. I didn’t say u said “there will be war between ethiopia and eritrea” . I said if there will be a war(likely),it will be between tigrai vs amara or tigrai vs eritrea, not between ethiopia and eritrea. I agree with your take above. I don’t understand why awatestaff had to break their guidelines. This reminds me a story I read on one of the Ethiopian magazines during the 90s. The story was told by an elderly Somalian man and goes like this. The elderly man went to one of Ethiopian government offices in Addis Ababa. When he arrived , he was asked to leave his walking stick at the gate by a guard. Knowing that the office didn’t have a working lift the man begged the guard to allow him to take the stick with him but the guard refused saying that stick is not allowed beyond this gate. As there was no choice the man obeyed and walked to the 3rd floor of the office. However, while he was setting in the office conduction his business the guard walked in to deliver a message and he noticed that the guard has his stick with him. The man brought this story while he was discussing about rule of law in Africa. BTW I got in to trouble for discussing this story in the presence higher officers in Eritrea. I haven’t read the w hole of ur article above but i understand it been posted in tograionline and aiga and i understand u trying to show the ugliness of war. The Arabs have a proverb that says the one who has none doesn’t give ….read the whole article first and comment. I start to read it and it’s boring, plus this article is posted in aiga and tigraionline, which means and from my experience nothing good comes out of aiga and tigraionline. and here is my proverb ” the one who has none way better than nonesense”. and boring…..? Teka is talking about lives lost , in this case Ethiopian lives!! To avoid a war, u have to avoid injustice, exploitation. aggression and so on. For those who are serious debaters on the Ethio-Eritrean politics, Dr Tekeda Alemu who was a former Ambassador of Ethiopia to the UN, on his letter titled “ይድረስ ለአብይ አህመድ አስተዳደር” criticized the foreign policy of PM Abiy. Here are some of the points he raised on his letter. 1, tekeda alemu was a derg and woyane deputy foreign minister. 2, 3A gov said it so many times and believe on A,B,C and D above statements. 4, statement E is nothing to do with foreign policy, it just show he is woyane and derg admirer. woyane is known by backstabbing and lying, so that kind of character is expressed as cowards. read statement E of aman h’s tekede alemu letter, that was why i mention woyane. This wasn’t for your kind. This was intended for those who could debate on contrarian views with knowledge and discipline. Statement A,B,C,D is not contrary to 3A gov foreign policy. statement E is nothing to do with foreign policy but tekede alemu admiration of woyane. but since u r delusional u want to debate about it as if it is contrary. the reason why u brought tekede alemu’s letter here is because u see something that admire weyane, nothing else. which means u r nothing but a foot soldier. Many thanks for sharing the link. It is natural for people to read Teqeda’s take with a degree of scepticism for he had been one of the most visible technocrats under the previous [not sure if I can call it previous] administration. That said, given the stark reality in Ethiopia, it is rather hard to ignore his acute and astute observations, however. The Horn as you know is one of the most volatile regions and strategically vital for the great powers in tandem with the shifting interests of the Gulf states as well. What makes Ethiopia’s standing precarious is precisely because Egypt’s foreign policy is designed and its intractable link with the Nile whereby it finds itself at loggerheads with Ethiopia since time immemorial. As Teqeda aptly noted, strong economy is a recipe for a stronger foreign policy and diplomacy. And it was from a strong economic standing that Meles took on the ambitious GERD project that has made the Egyptians nervous for no former Ethiopian leader dared to hold the bull with its horns. More over, when China established its foothold in Africa in general and in Ethiopia in particular, it is to be seen if Abiy’s intention is to shift alliances and partnerships which could potentially throw the nation into the enclaves of neo-liberals when Meles resisted the tremendous for over two decades where the resistance has proved to be productive for all to see. The question is, why is Abiy giving the impression that he is set out to undo everything the previous administration brought about including Multinational Federation, the core political ideology of EPRDF [Revolutionary Democracy and Developmental State] and tectonic shift in foreign policy? 1) my understanding (from what pmaaa had done sofar) is, the fundamental Ethiopian foreign policy remains the same. The implementation looks sometimes odd! 1.1) for whatever reason he succeded to convince pia to come to peace deal with “certain peace terms”; including the much needed hard currency from UAE at the time of desperate need. And the pea ce deal with pia is still within the frame work of the old foreign policy, eventhough we know nothing about the details. [The peace deal could be in one of the two extreams: a) in full term of the Eritrean government wish, b) in full term of the Ethiopian government wish. ]….OR somewhere in between. 1.2) by pushing towards mor economic integration among the neighborhoods, he cemented and implemented the Ethiopian foreign policy further. 1.3) the institunilization of Ethiopian workers in the gulf, and careful cooperation with gcc shall also be understood within theis frame work. I am really touched with your point (D). That is absolutely correct. The Ethiopian (and Eritrean too) governments shall not loose their focus on that. On relations with neighboring countries of the horn, especially eritrea and djibouti, pm Abiy during his meeting with ethiopian diplomats spoke of the policy of “one country – two states”, where he said that there could be two leaders, if they do not want to form one country, but the main target will be to integrate the economy, the defense forces, internal and external policies, or even have one currency, etc. I could be wrong, nevertheless, it gave me the impression that he was talking about some sort of confederation, which could be with any of the states mentioned above or both. As much as the recent ethio-eritrean deal is concerned, in some other place, the pm seems to have said that it was not exclusively an agreement reached between the two leaders, but, because it was the wish of the two people which they urgently wanted to see, that forced the two leaders to implement practical measures on the ground, like opening the borders and starting trade, before an official agreement was signed. There is a team that is already studying the details of the agreements, and when it is ready it will be known, and finally signed. If the two people will have a say on the final agreement or not, he has not pointed in that direction. I think that ethiopia’s relations with the arab nations, is on a good footing and that is what we saw up to now. Of course, if it will continue in a good friendly terms, respectful of ethiopia’s sovereignty and interests, time will show. The other player, iran, does not seem to be active for the time being. As we all know, the horn has attracted other powers, too many for such a small area, each one of them watching the other, and therefore arabs are not the sole powers. Afterall, they could not handle yemen, despite their money, let alone ethiopia. I think that mutual respect and cooperation will be the only way forward for both. If it is going to be an all arab front against ethiopia, i am afraid that it will draw in other powers as well. In my opinion, worrisome is the fact that turkey has gained access to ethiopia through some investments, and it is flooding the country with illegal weapons, that enter the country through porous borders, and it could destabilize ethiopia. Whoever has read about erdogan, the dictator and islamist president, who has filled prisons to the brim, warmongering in all directions, and he is said to be nostalgic of the ottoman empire, one must be uneasy about this paranoid person. Yes, ethiopia will have difficulties, but i think that the dust will settle, and things will follow their own natural course. Any house needs renovation at one point, especially when it does not fulfill the needs of the dwellers anymore. The things that are missing are introduced, while at the same time, things that are not needed are dumped, and this, in my opinion, is the thing that is happening today in ethiopia. Is there any link “video” on the meeting of the PM with the Ethiopian diplomats, where he said “one country two states” on the future policy of Ethiopia with Eritrea and Djibouti? Could you bring that, because that in itself is a big issue for a debate. he didn’t say,” one country two states” on the meeting with ethiopian diplomats, he said ethiopia don’t have ports so ethiopia needs to work for economic integration with eritrea, djibouti and somalia. I know u Will not be interested about it, since no admiration of woyane, so no place for foot soldier. 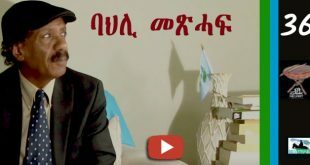 It is a “zehabesha” video, “ዶ/ር አብይ የኢትዮጵያ ዲፕሎማቶችን ዛሬ ያስጠነቀቁበት ቪዲዮ”, at about the 10 mins mark. The whole video of about 11 mins is really interesting. it’s funny that, u people source of info r the likes of zehabesha crap and want to debate based on those crap info. and the more funny part is, some of u guys call urself intellectual, doc and so on. I know u don’t call urself doc, i also know ur job title. 2. He has been Isaiasized where he feels compelleted to be a Jack-of-all trades, a lecturer who lectures teachers how to be better teachers, diplomats how to be better diplomats. I will say more on this, time permitting. You can find you video on YouTube or if you want an hour or two I am sure it will find its way to social media. He(3A) said we(ethio,eri,djibouti) can work together on AGREED issues by all of us(eri,ethio, djibouti) AS three gov and one country. 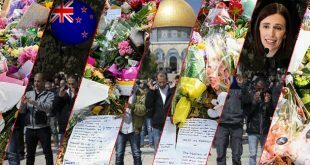 (1) He did say what I quoted (One country, two states) and I have never used that phrase used in any other context other than for intractable, no solution problems (Hong Kong, Palestine). In general, for some time now, Abbiy has avoided having any meetings with people who could be considered his peers (either within the EPRDF infrastructure or the State) and he appears to be very comfortable addressing those who are hierarchically his inferiors (cabinet, soldiers, teachers, diplomats) and are in no position to challenge him when he gets in his lectury zone. U know how hard is a nation building, i mean the country was sabotaged by tplf for the last 27 years, he needs to be careful when he clear those twisted sabotages and they r still out there in tigrai crying. giving the country’s complex problems in to consideration. What 3A did in less than a year is amazing. but i know what mean and understand the concern. Please learn from us do not make the same mistake we made. 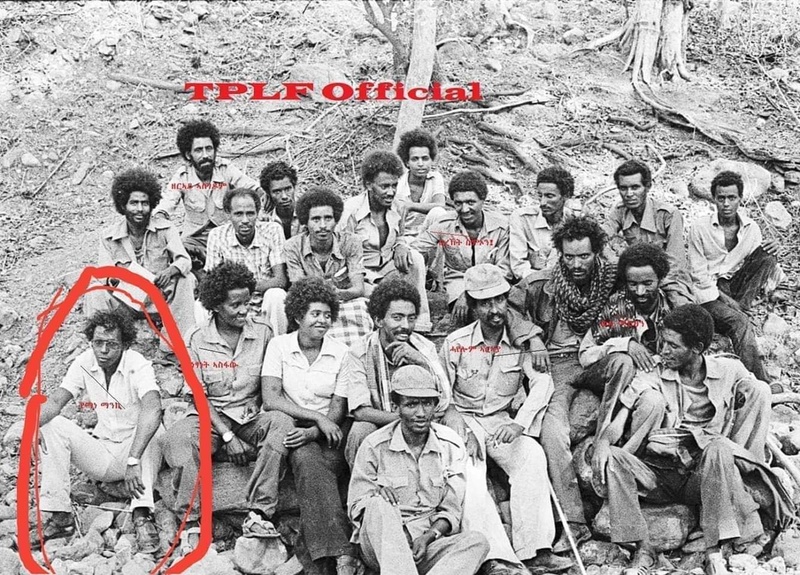 We all made excuse for EPLF and IA, “you know how hard nation building it is?”, “you know these people where in the mountains for 30 years, give them a break?”, that’s how it started and from then downhill. 1, as ethiopia and eritrea r two different countries, thier problems also different. 2, 3A and PIA r two different individuals, they have two different backgrounds, two personalities and facing two different issues. 3, there is nothing will come worst than woyane for ethiopia, so downhill. 4, there is a difference between illusion and reality. So i don’t expect 3A to solve all the problems in less than a year. You you “i need 3A to be a little bit PIA on his enemies.” This is how it starts and then there will be no end. Rule of law should be the only supreme power if it’s going to be peace. I am sure you know what the German priest said about the Nazis. When i said a little bit PIA, i meant he needs to be tough for those who don’t play by the rule of law, i don’t want him to be above the law and i don’t want him to just preach love and over patient , that was why i said a little bit. Well PIA is above the law. Actually he is the law. One thing I don’t understand, doesn’t the PM suppose to show up for a job on regular basis, I mean go to the parliament and face the members? Isn’t there a regular session of parilament that needs to convene, not at the whim of the PM? What kind of joke is this? There no regular session, there no question period? Bro saay, you lit this place up man. There are very few people who really know what’s going on. You are one of them. Good to see you back, brother. I will try to listen the video later this evening. But if he corrected it after he said it, then, don’t you think he threw that “conceived idea” to test the reaction? Second, when the Ethiopian people saw him as messiah for all their ills, then understandably, he has to act “a jack-of-all-trades.” You are spot on at it. But remember, Issayas has also become the same “a jack of all trades” when his colleagues start to worship him and when the public start to say “በይኑ እንድዩ መሳርሕቲ የብሉን”. I will Waite your follow up, to say something more. Your short comment have a lot of indications. Thank you. be with integration in mind but deceptive calculation to neutralise Djibouti not to become a spoiler to the Ethiopia, Eritrea and Somalia axis. with the presence of Eritrean/Horn young scholar from University of Boston and many more; the general consensus was:the Eritrean, Ethiopian and Somalian alignment is inexplicable, already in the bags of Emirate/ Saudi, not transparent even with the autocratic Ethiopian previous admins standard ( it will never be transparent ), risk of balkanizing African regional arrangements and risk the African Union multilateral approach. The Gulf states only use money and militarization as an influence while some mix with soft power, investment like Turkey, Qatar etc..The Gulf states are regrouping from their defeat in Syria, Lebanon, Iraq.. and focusing on the horn with an alarming militarization. who does not have the sophistication or economic power to handle the gulf politics nor the (personal) strength to refrain from diving in. He is just pushing every button in case one works in his favour; to consolidate his non-existent social and military base to become a formidable power. learn from Yemen how mercilessly violent Saudi and Dubai are. No one was brave enough to raise religion. Hope you don’t mind the collective address; I am likely to miss some points but I know you will forgive. Berhe, I don’t know Ethiopia’s legislative calendar but it is not unusual for legislators to meet only periodically. What I do know is that it is required to ratify international agreements signed by the executive and, to my knowledge, it has not ratified the Eritrea-Ethiopia agreements. Ismail, it is fair to say that my assessment of PM Abiy is a lot more generous than yours. I actually consider him exceptionally talented and praise-worthy for all the reforms that he has undertaken boldly in Ethiopia. 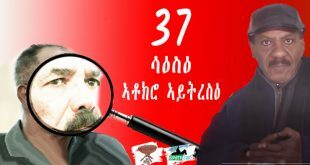 All the things he has done and is doing–reconciling with exiled groups, emptying out prisons (no journalist prisoner in Ethiopia for the first time in 27 years), opening up the political space, committing to pluralism in politics, ending the state of emergency–are praiseworthy and they are exactly what we in Eritrean oppo call on Isaias. As I keep saying governing is hard, particularly so for a large complex country, when you are a rookie and you have no role models in the neighborhood to be inspired by. And, sadly, here I see a lot of co-opting of the Isaias style of governing: flying solo, lecturing. He has even said he will do surprise visits of his ministries and department, the go-to move for every strong-man wanna-be. A lot of the things that frustrate us about Ethiopia–the rehabilitation of Dergistas, the toying with country-state, the delay in demarcation–are all the fault of Isaias Afwerki and his regime for encouraging/tolerating it. Kaddis, I have to believe that Abbiy’s flirtation with the brutes of the Gulf is out of sheer necessity. I recall reading that Ethiopia had missed payments on its loan to China and the UAE had to deposit a billion in the Ethiopian bank to stabilize the market. I hope you reassess your assessment about this professional double-crosser guy. He preaches love, assists criminals, demonizes certain sects and declares war on them at the same time. Truly, a very cunning guy. I wonder, are we going to wait until he says like Isaias, “I will sacrifice my life for my country Ethiopia”? You have said: “He preaches love, assists criminals, demonizes certain sects and declares war on them at the same time. Truly, a very cunning guy”. Very interesting description of him. Here is why he is doing that: He assisted criminals to broaden his base. He preaches love to tackle hate. He demonize certain sects to satisfy his base. That puts him in the cunning category. However, Politics does not work by preaching love and emptying prisons. He should get real to deal with the social forces to bring a compromising solutions. Anything out of this he will be doomed to fail or transform to abusive autocrat like ours. I think PMAA has bitten off more than he could chew. And what you said about his rookie-ness also makes sense. We know he is a man of a good heart and a man with a vision, what we don’t know is if he is a tactician who could deliver on his speeches. The Honeymoon period is done and Hayat Adem has regained her bearing (hello Hayat). I believe Ethiopia’s hope rests on the reformation agenda PMAA is leading, but he has to reign on OLF. The point is: this is Africa where the rule of law has not gained a chance to permeate into the peoples’ thinking; he will need to use some real sticks sometimes. He can’t please his way out of this situation, particularly with those factions who are wreaking havoc on peoples’ lives. It’s frightening to me when people advise Abiy Ahmed to “use the stick”, “get tough”, etc. The natural proclivity of a State is to be violent and I wish people would advise him to show restraint instead. I wish people would only call that he enforce the law and remain royal to the law. Well of course he has chewed more than he can swallow. All rookies do. That’s why all rookies need role models and mentors and the worrying thing to me is that the person with whom he seems most at ease is Isaias. Stylistically they have nothing in common so all I can think of is that they are ideological twins when it comes to Greater Ethiopia. I can’t disagree more. I don’t how you look at but when a country with a functioning government 17 banks to be Burglarized by a group who has guns is enough indication where the country is heading. I don’t believe in force but if this OLF group is not disarmed forcibly; there is no Ethiopia. If I was the leader of Ethiopia I will hunt one by one with no mercy. The country has to come first. If PMAA doesn’t use force todays OLF will become Alshebab or Bokoharam. If PMAA is for greater Ethiopia then he has to kill few and set the table. 17 banks? Let’s just say I am glad Abiy Ahmed is not listening to the advice of the “roundem up”, “use a stick”, “arrest ’em all” advocates. There is a video that General Birhanu Jula Gelalcha has given and it outlines how the Ethiopian armed forces is very maturely dealing with citizens of Zalambesa creating obstacles for them leaving (solved); the Dawud Ibsa OLF (ongoing); the shoot out at Western Gonder (under investigation.) It is really extremely encouraging. On Dawud Ibsa’s OLF. You have to remember one thing: In 1992, his army was as big as that of TPLF. Meles Zenawi and Isaias Afwerki (yeah, your hero) tricked him into disarming and dissolving his army. Then they completely froze him out from any power sharing. What do you thing the life-long lesson of such a guy is? Never, ever disarm completely. I think Abiy understands this, and thus his patient and methodical separation of the man and his forces from a people who see him as a freedom fighter? Will it work? I don’t know. What I know is the approach you are recommending “use the stick”, “get tough” would never work with such a guy. Search on youtube: የጦር ሀይሎች አዛዥ ጀነራል ጅላ ብዳውድ ኢብሳ…. published by Maya Media. Funny stuff. Did you have to tell us his middle name as well—Jula? The name for some reason sent back to the 80s when the Dergue was in power. Do you remember Clint Eastwood’s 1968, “Hang ‘Em High”? Hope the General including Abiy avoid that road. I like “ወደ ኣዲስ ኣበባ ስሄዱ ይደመራሉ፡ ወደ መቀለ ሲመለሱ ደግሞ ይቀናሰላ።”. That is exactly to the point, but this will not take them far, or help them for the long term, for the periphery will not be the center and vise versa, and it has disadvantages. At one point, they will have to make clear their position. As to the stick, i am afraid that pm Abiy should not make a hero or a martyr out of dawud ibsa, because it seems that that is exactly what DI wants. Olf doesn’t have the power to change the situation by force, and he knows it. It maybe that he believes that if he is bothered personally one way or the other, the oromo people will rise up against the government and he will become an oromo hero, even if he did not succeed to rule his independent oromia. That is the main reason pm Abiy should walk very carefully on the tightrope olf and its leader have created for him. It is possible that the pm’s patience which is sometimes misunderstood, point to the fact that he wants to discredit them in the eyes of the oromo people first, if he is going to use substantial force in the future. There are times when pm Abiy shows his teeth and he seems ready to use his muscle. Nevertheless, i think that he has not yet reached that decisive point, as more mild measure are already giving some results. To the disappointment of the anti-ethiopianists and anti-ethiopian unity groups, directly and indirectly, he is saying that he will not negotiate ethiopia’s continued existence. That will be the time when he may be obliged to use force. I think Ethiopia and others on the horn should pressure Djibouti, Eritrea and other countries to get rid of the powers that are crowding the red sea on the horn. None of these countries (China, US, Russia, Turkey, SA, UAE, France and others) are really the best countries to have around. Do they bother East Africa south of the horn? like Tanzania, Kenya ? Have not seen the video yet. Glancing through the entries under this thread, I got the sense the contributors seemed to be confused by a confusing statement of Abij. As saay indicated the man utters many ill considered matters when speaking to audiences of various interests at various forums of expertise. He cannot be an authority on all things. If he tries he would be replicating approaches dictators use thinking they are endowed with knowledge of everything and own monopoly of truth. Anyway, the more the PM stays on matters of many nature, the more he has been becoming unpredictable and naive as his allusion to two states in one country over the heads utterance indicates. ኣንታ ኤማ፡ ወሪድዎ ካብዚ ናህና እንተዝምሃር እሞ፡ ጥርቅም ኢሉ፡ እምበር’ዶ ኣሎ ኢልና ምሓተትና። እዚ ናህና ኣሽንዃይ መዓኮሩ ኣፉ’ውን ተሓቲማ እንዲያ ዘላ! ዘረባ ካይመልቆ፡ ምግቢ ዝበልዕ’ውን ኣይመስለንን! Your first statement is very interesting and ears to us Eritreans that Dr AAA is considering Eritrea and Djibouti as part Ethiopia as a country and the former ones(Eritrea and Djibouti ) as “ Two States” within the country of Ethiopia. Did I get U right? If so,the Meddemer thing is Real and Official then!! Are we talking about Economic Integration here to be followed by a Political one later of things go well? If so,does that just include Ethiopia and its alleged Satellite States,Eritrea and Djibouti or the Horn in general! Apologies for my dumbness/ ignorance and naivity. Was the meeting a “ classified” one? If you listen to the video, you may reach a better interpretation. When he said “one country – two states”, i think that he meant the country will be formed of two states, like in a confederation, as i imagine, and not that the one will be a country and the other a state. Now you have to decipher yourself: one country with two states (i.e. a confederation with one leader), or, two countries with two leaders, but fully integrated. I have given the link. If you listen to the whole video, it is worth your 10 mins. Hi Teka; I have no qualms with your personal story but when you claim that ” The deportees were forced to take their golden teeth and give it to the EPLF soldiers; they were not allowed to carry any money at all” it is a great disservice and questionable credibility for your personal story. You said you were in England; so, obviously you weren’t there, you didn’t witnessed it. How on earth would you include such BS on otherwise credible personal story. My question is did you witnessed Eritreans taking golden teeth forcefully form the deportees? please stop defaming and deprecating such noble people. remember despite What you guys deed to the people of Eritrea; they let you leave free!!!! Thanks Awate for posting the article that I read at Aiga Forum for the first time. You are different because you host conversation and that is good and keep it up. 1) What he saw he Kagnew hospital , was happening in the then Etige Menen Hospital for Eritrean civilians who were lucky to be hospitalized as there were many dead civilians thrown in the streets of Asmara and outskirts. 3) On deportation : fact shows that the EPRDF has a policy to deport Eritreans but not the Eritrean government. The looting of golden teeth that Teka is mentioning might happened by individuals not as part of a policy or guidance. Last but not least , I feel very sad what happened to his mother , a mother is a mother , and one can sympathize to motherhood . It becomes a subjective issue, I can understand . She worked for the sake of Ethiopia in Asmara and later in Addis Ababa but in both cases she was disappointed. In Asmara the army that she supported was defeated. In Addis Ababa , she was discriminated. Had the people who insulted her because of her race knew, what she did in Asmara, they might have lowered their tone. The Arabs say he who doesn’t know you ignores you. Or they might have known, but racism made them blind , that is scary thing that is happening south of the border. I wish Teka engages in our civil and polite conversations because at last our thoughts on the issue can reach to reconciliation. That is a beautiful and powerful personal story going beyond just personal. True personal stories leave you with some kind of internal fight. Thank you. What is beautiful about it? I would not bother to explain his lies, but the fact that his ኣባ ጦር father was an invader and allegedly killed civilians and freedom fighters indicate his story lacks moral ground. And no doubt if he was indeed ወዲ ቃኘው or TG, I would ask him to check his hands for blood, and perhaps that might be the reason why he and his likes are not welcome anywhere. 1) the writer is preaching peace and normalcy invoking his past personal pain of war truama. Is it not beautiful to appeal for peace? For God’s sake, isn’t your name peace? 2) His father was not an invader. He didn’t beleive he was an invader. He was a soldier on duty assigned by his government. Even if you want to say he was, every description and inference of the story still stands. 3) You can’t say his father was killing civilians unless you know specifically this soldier and what he did in particular. He is a combat soldier; and the freedom fighters are, too. The story is only describing the casualities inflicted on theEthiopian soldiers including the writer’s Dad. 5) What I like about the story is that it wasn’t making any political judgements. It was not assigning blames to any side. It was carefully and adequately designed to help us visualize the horrible scene and the human agony. Are you serious you want me to prove the claim he made about Eritreans robbing gold teeth was a lie? 1 Well, a lie is no the right ingredient for preaching peace. As an Eritrean I am more offended than appealed. 2 I agree, but the story was not about apologizing for his father. 3 I said he allegedly killed people because that’s what Derg was doing in ሽዕብ, ዓባይ ስንበት, ዑና, and everywhere in the country. 5 It is good that you see it that way. But making false accusations and preaching peace do not go together. This is strange. Before I delve into the strangeness of your article, I must say that, you are a great writer. You’re probably taken aback by my rather blunt and tactless take of your otherwise emotion studded with scarred memory where you are appealing to our collective conscience. The strangeness comes when your story stands in a sharp contrast where most of us here in this Forum wrestle to this day with the tremendous amount of pain the Dergue and its soldiers inflicted on our lives. Most importantly, I commend the Editors of Awate for standing to principles as opposed to wounded emotions. Your father was a soldier and fought for what he believed in and as much as he is your hero irrespective if history was written either by the victor or the vanquished. And to that end, I salute you for telling his story to not so ideal audience. Ultimately, if you and the rest of us here stood on the opposite side of history, we have come a long way when we crossed paths not as antagonists but in an effort to make some sense to the kind of predicament your country finds itself in. Welcome to Awate!